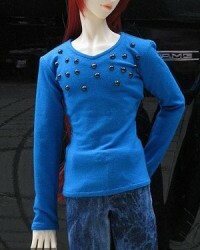 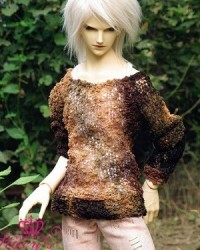 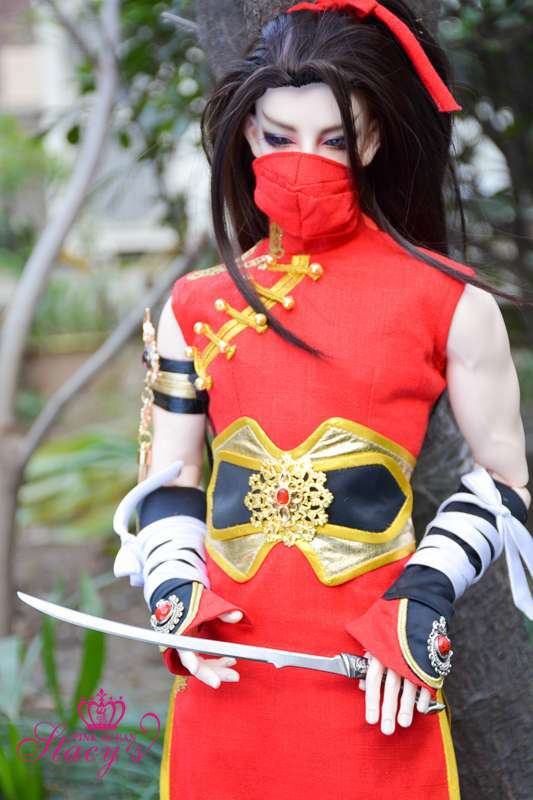 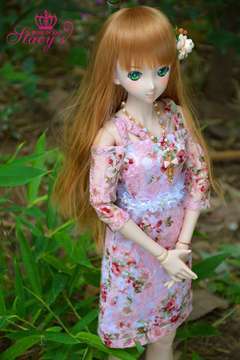 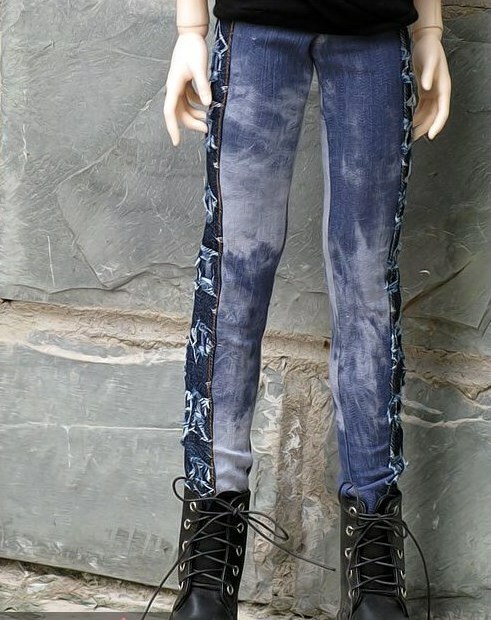 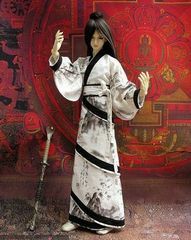 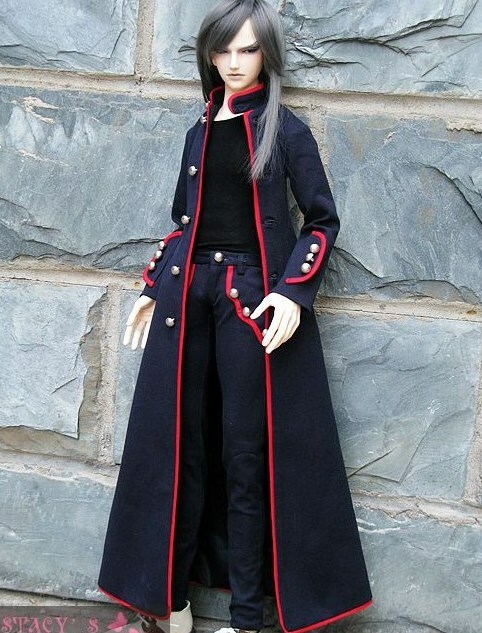 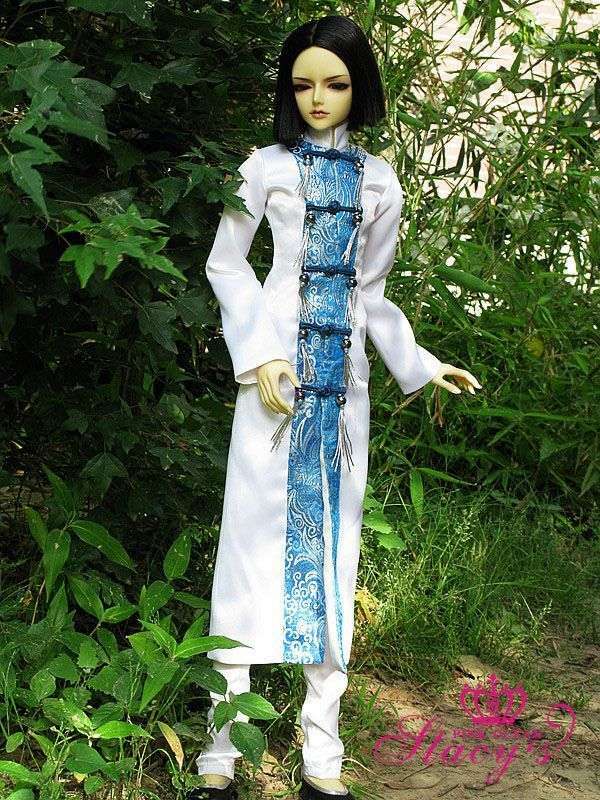 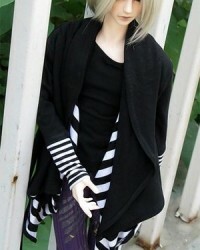 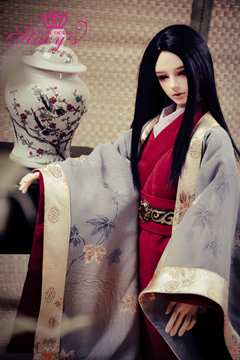 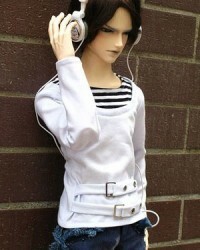 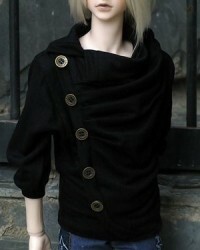 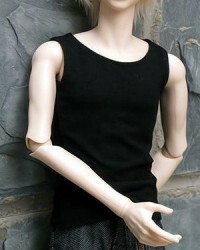 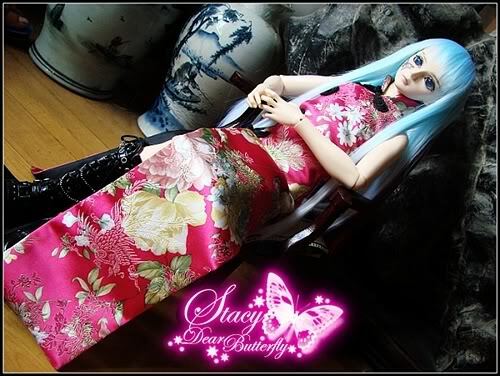 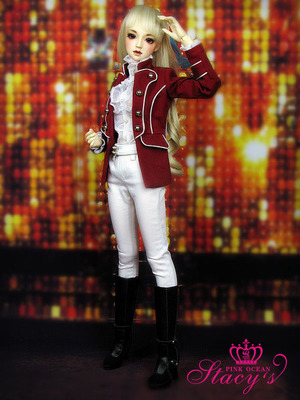 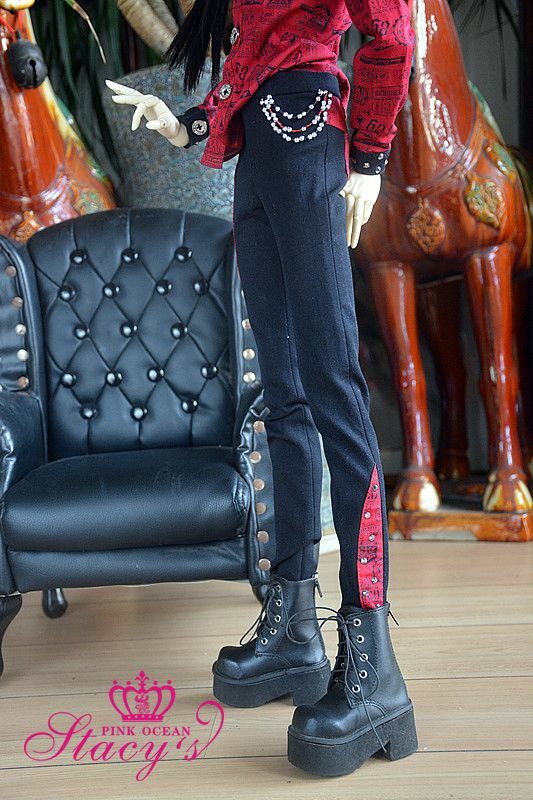 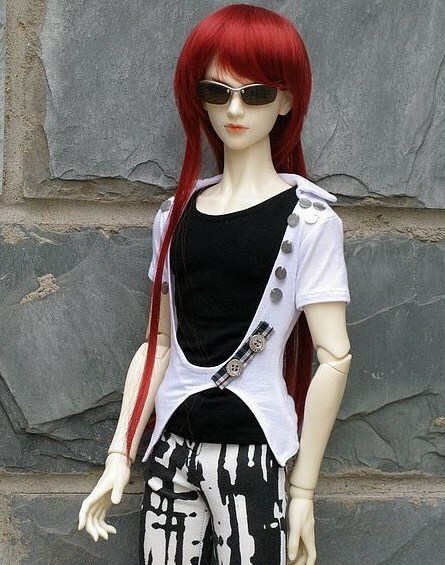 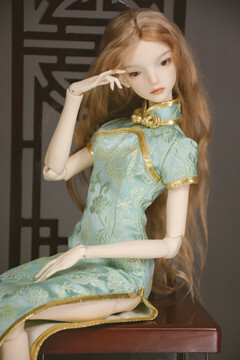 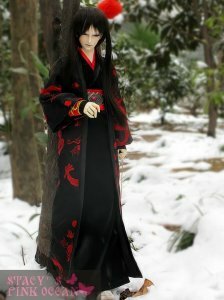 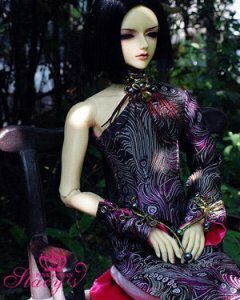 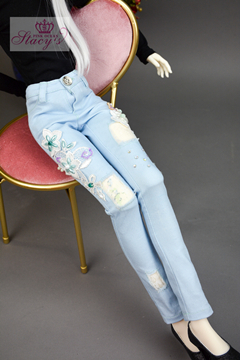 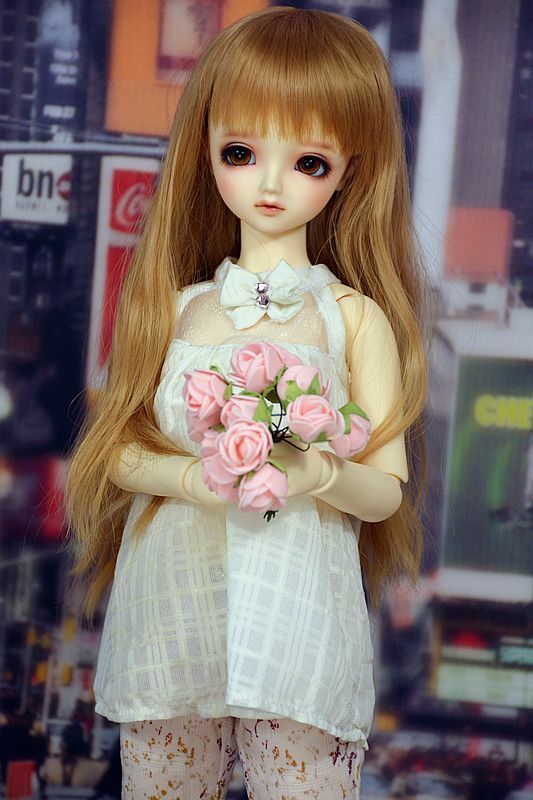 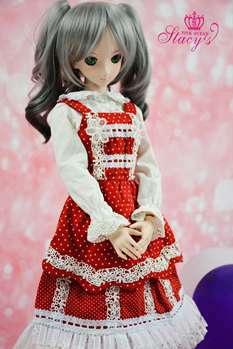 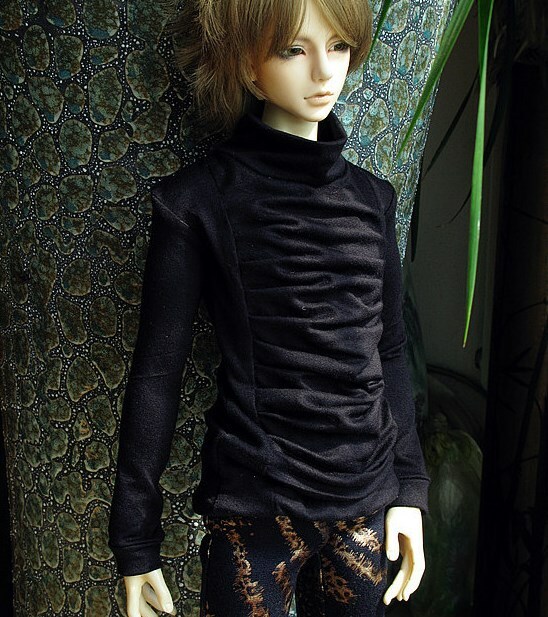 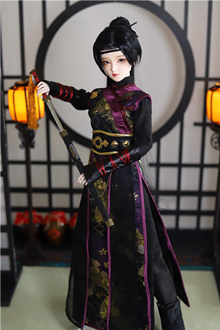 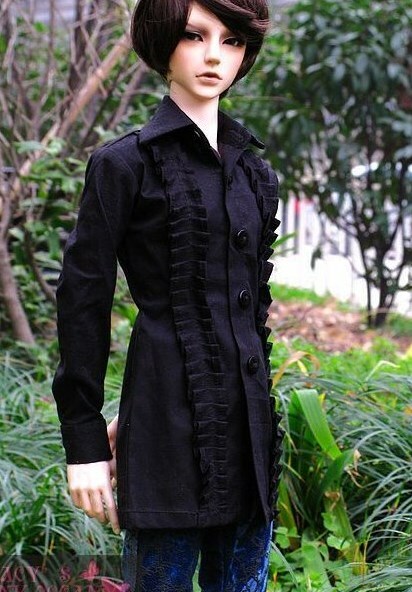 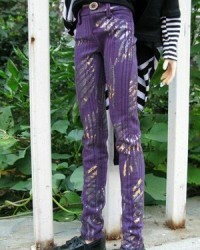 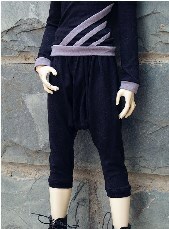 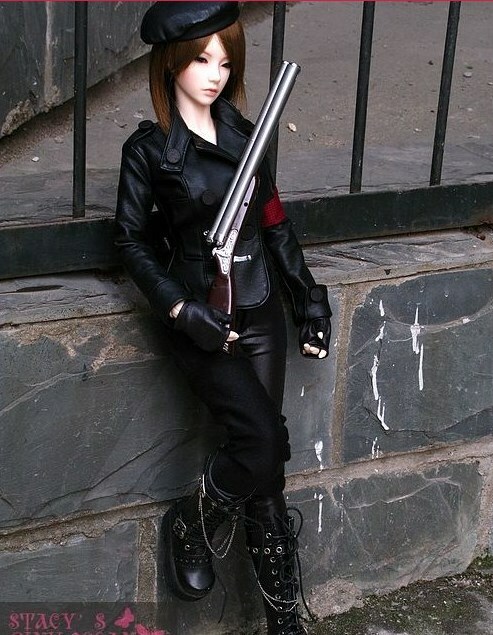 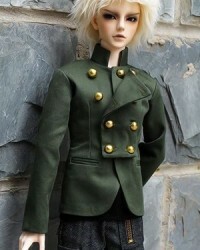 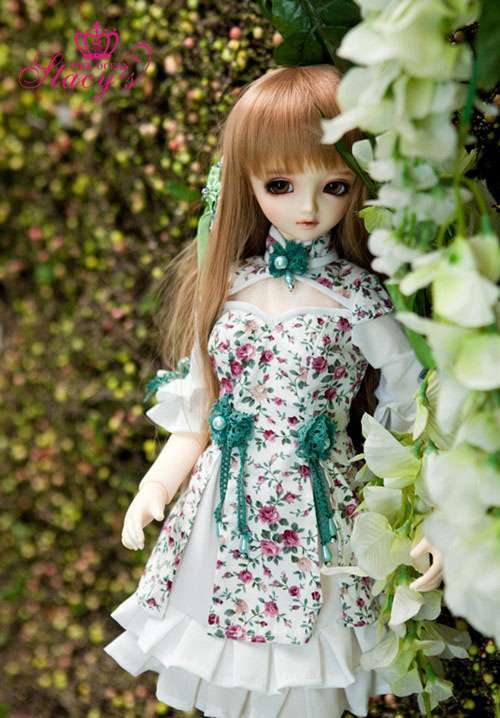 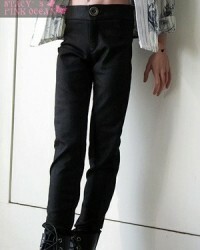 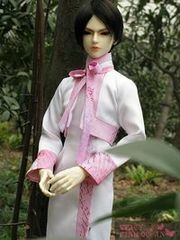 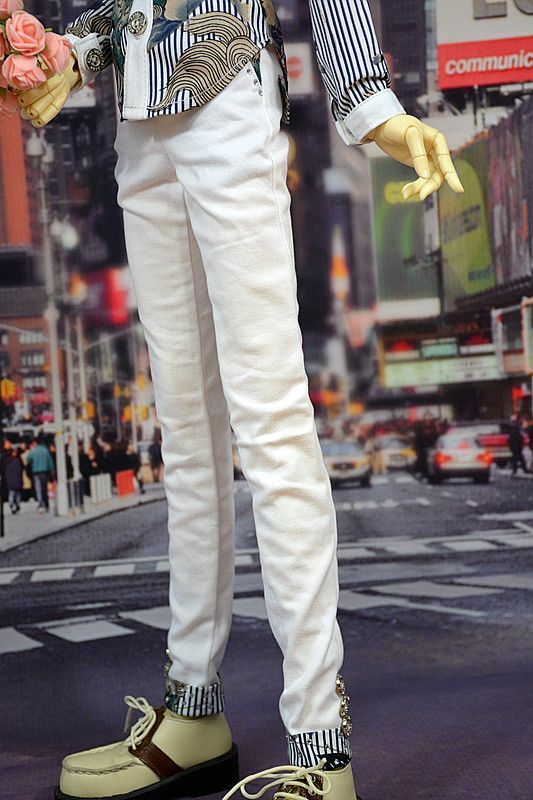 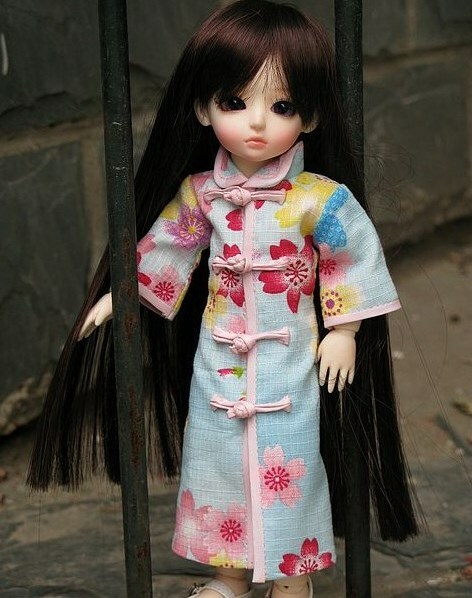 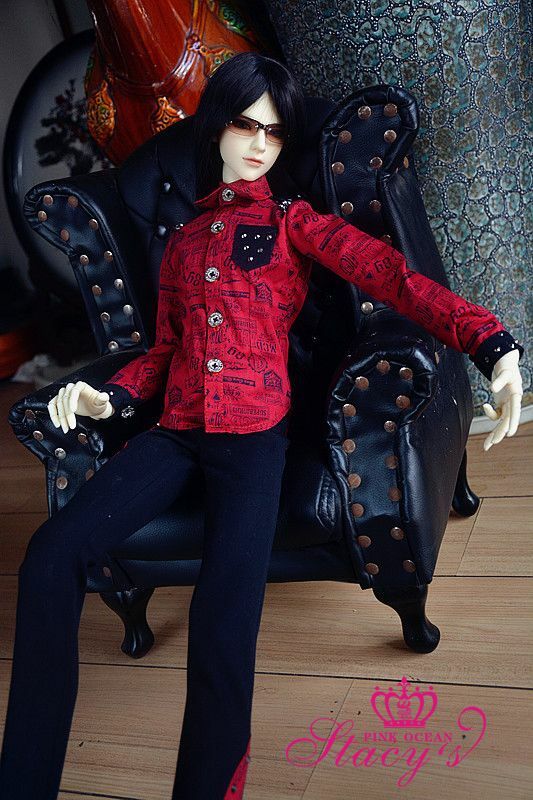 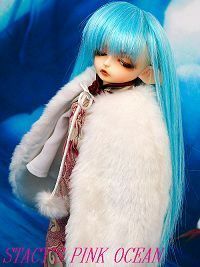 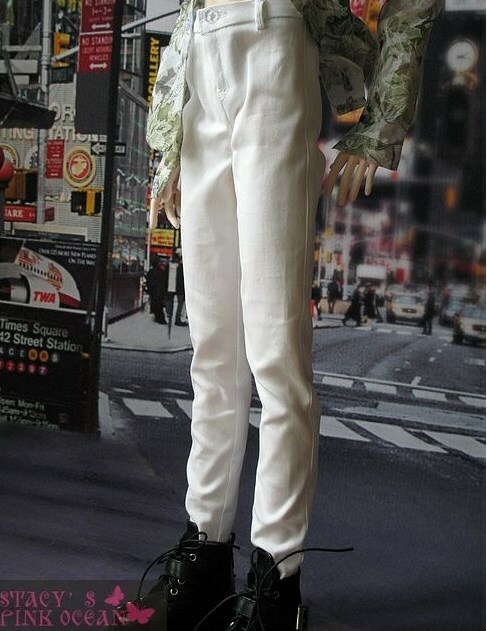 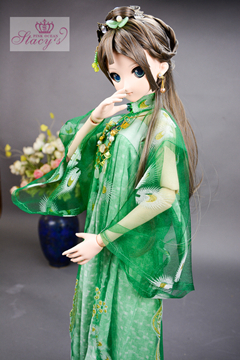 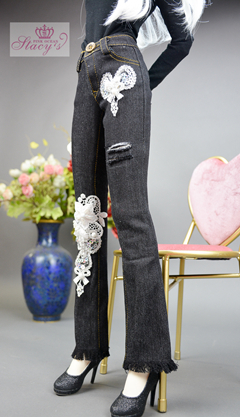 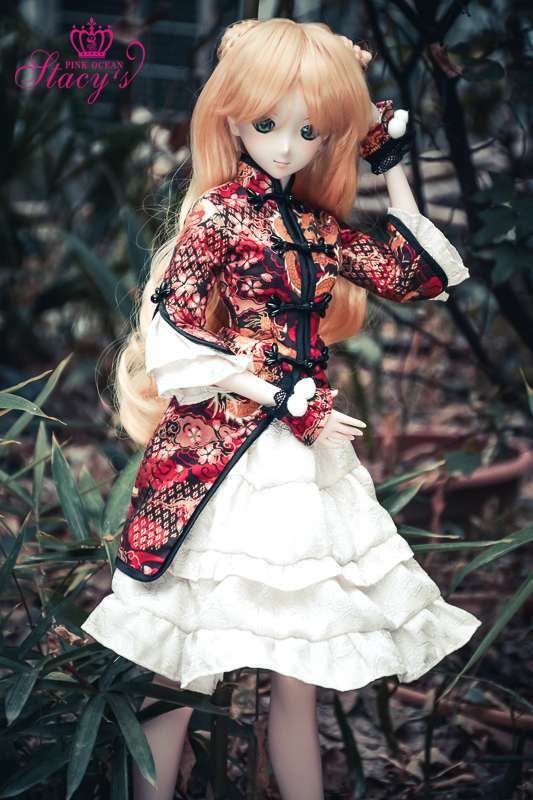 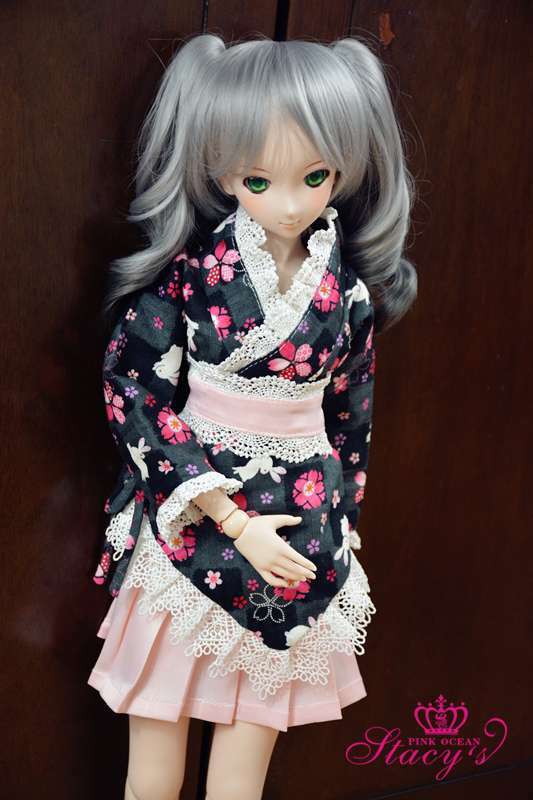 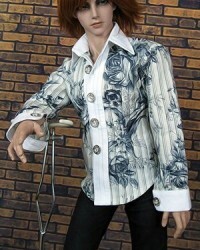 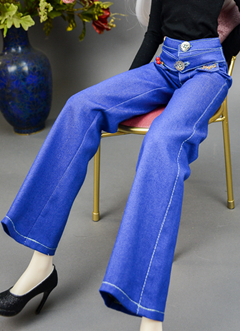 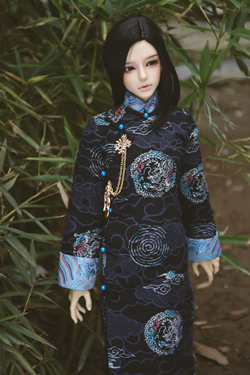 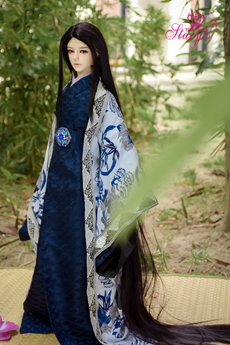 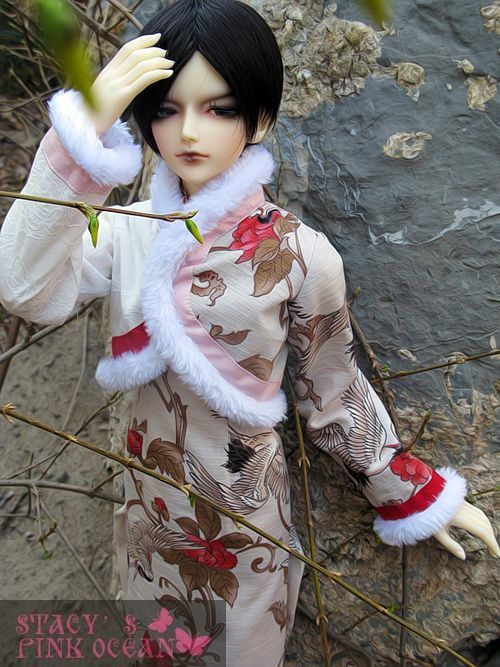 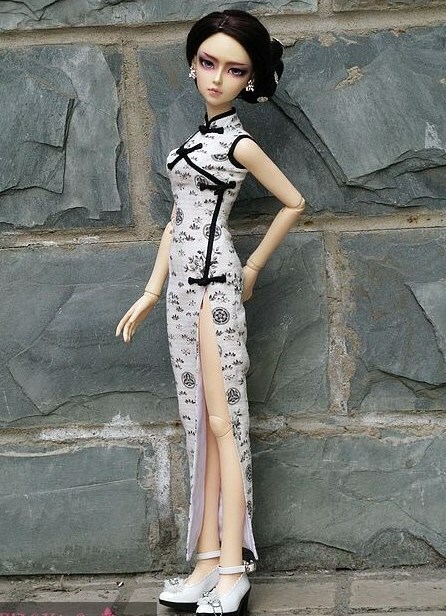 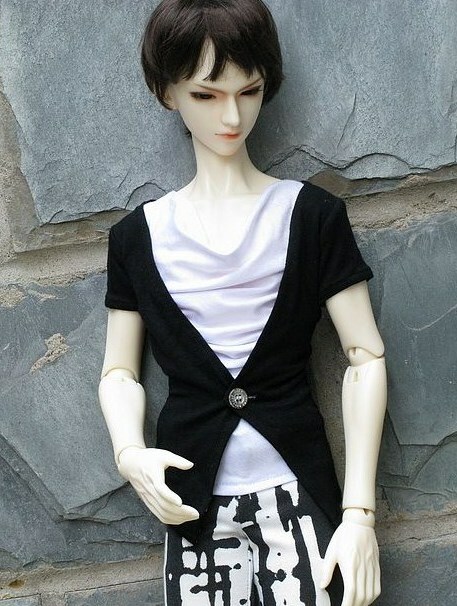 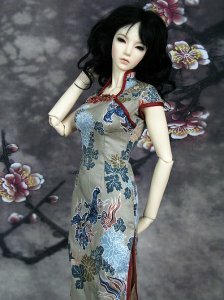 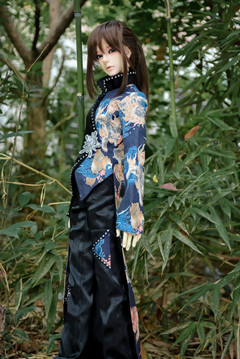 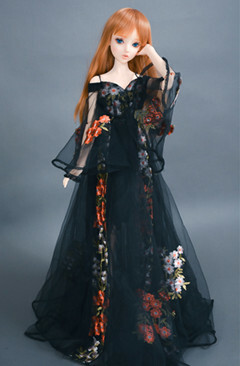 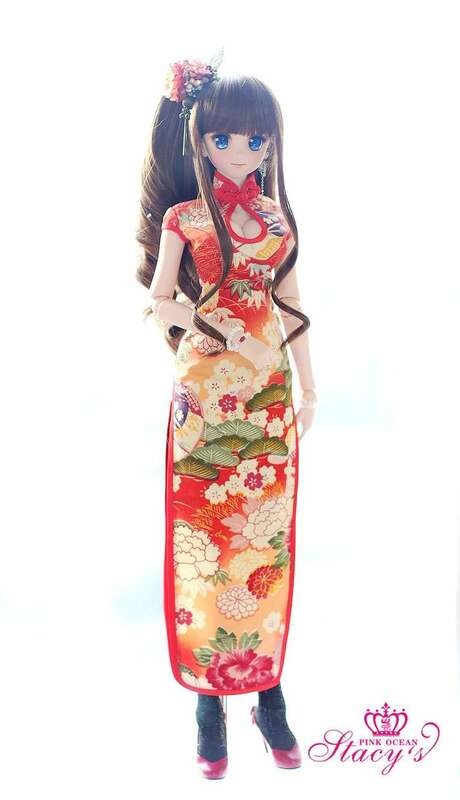 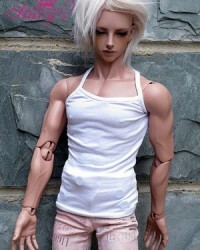 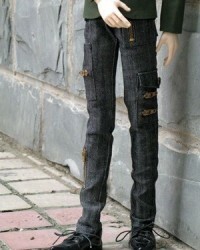 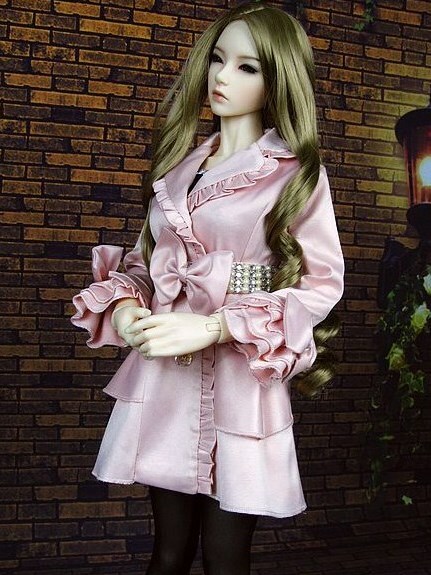 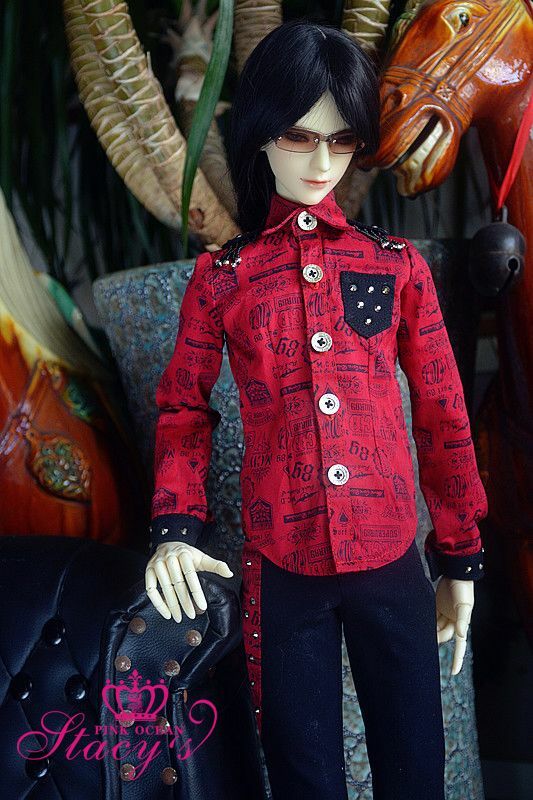 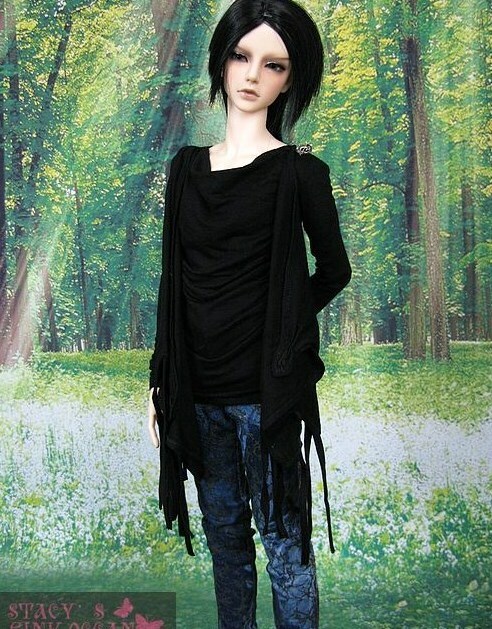 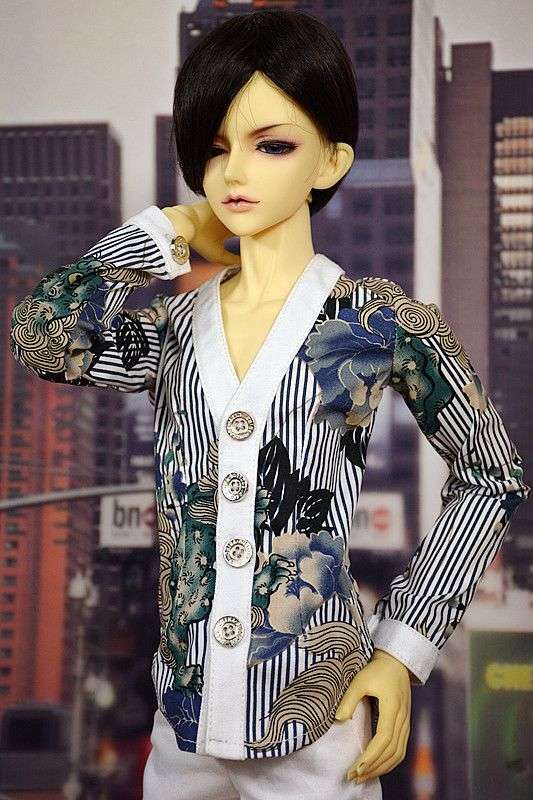 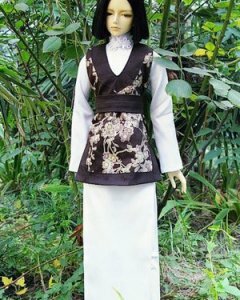 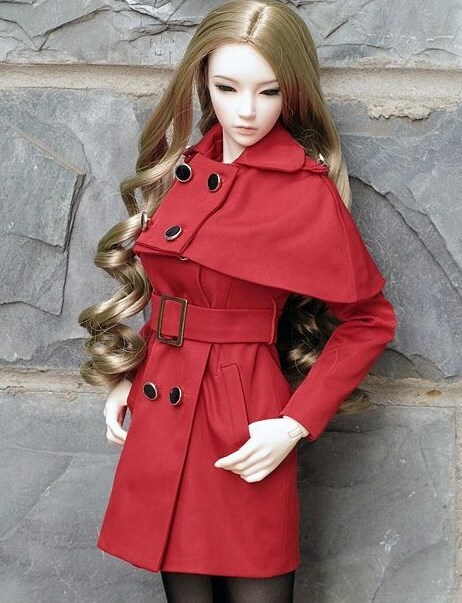 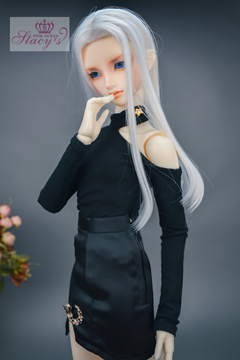 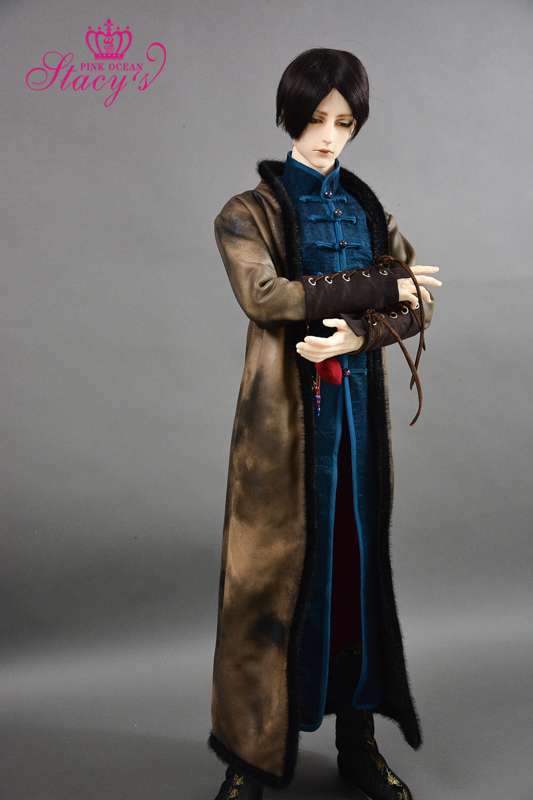 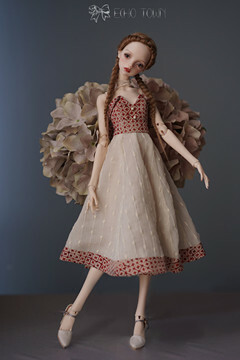 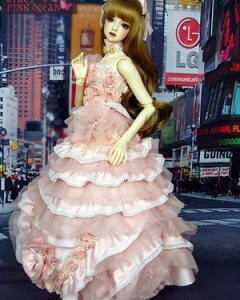 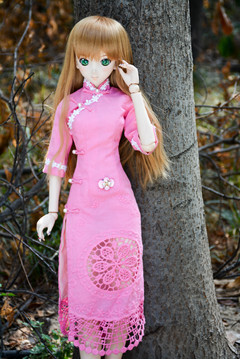 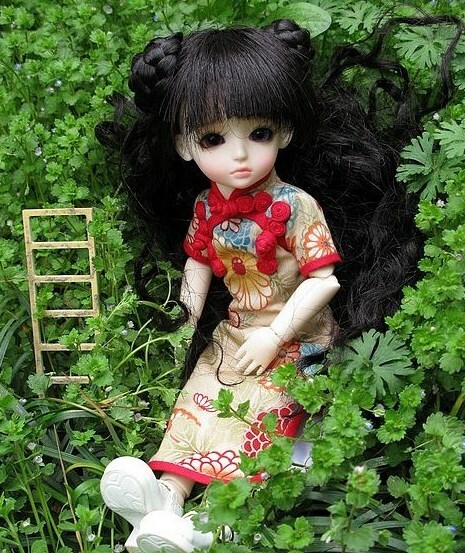 This outfit can be custom-sized for your doll. 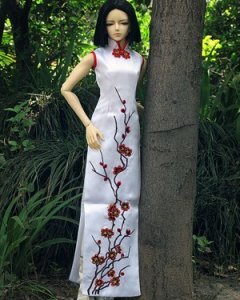 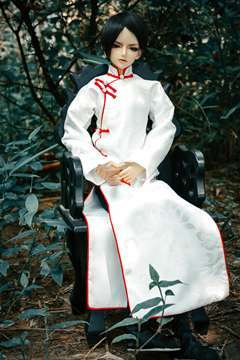 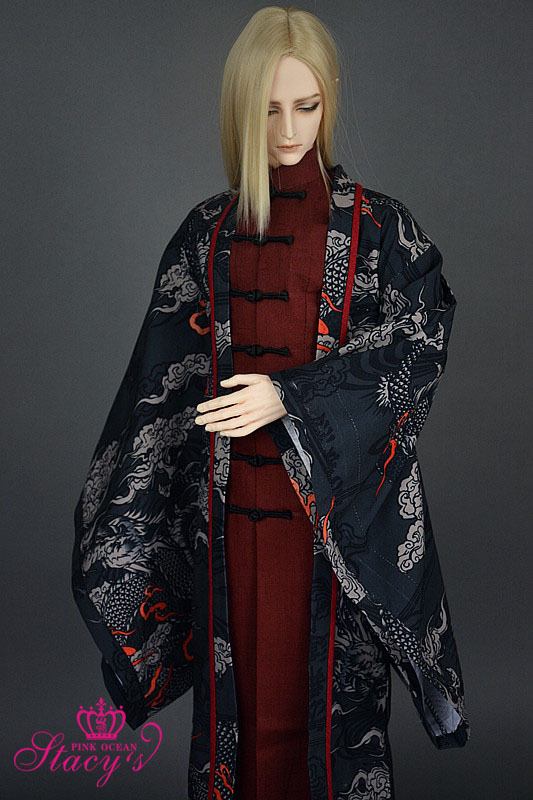 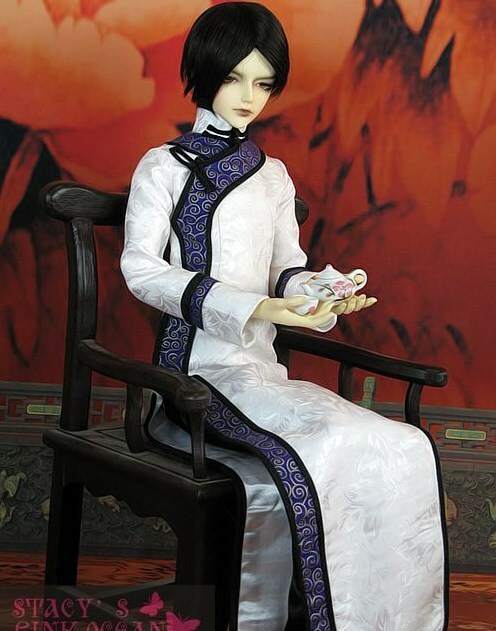 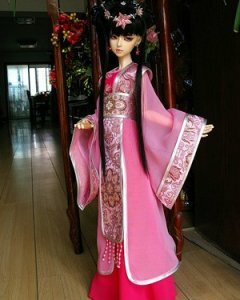 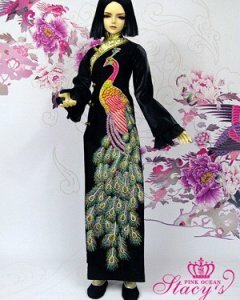 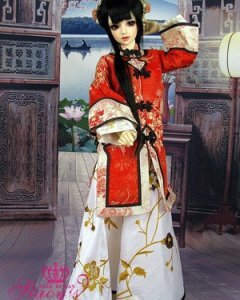 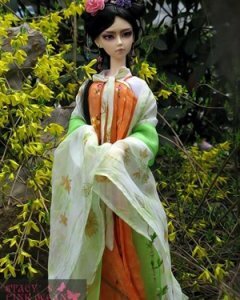 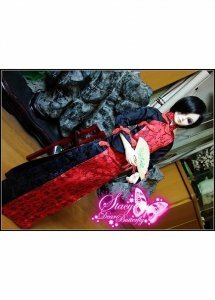 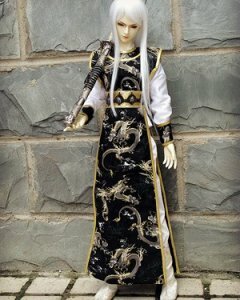 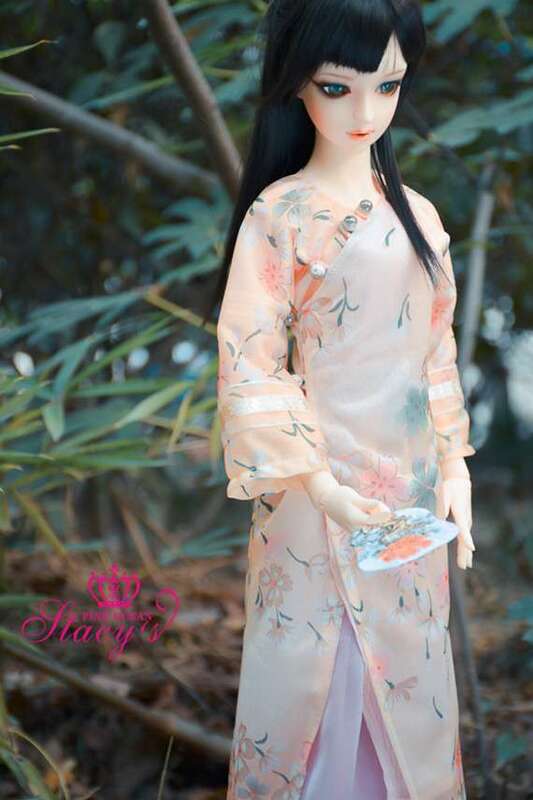 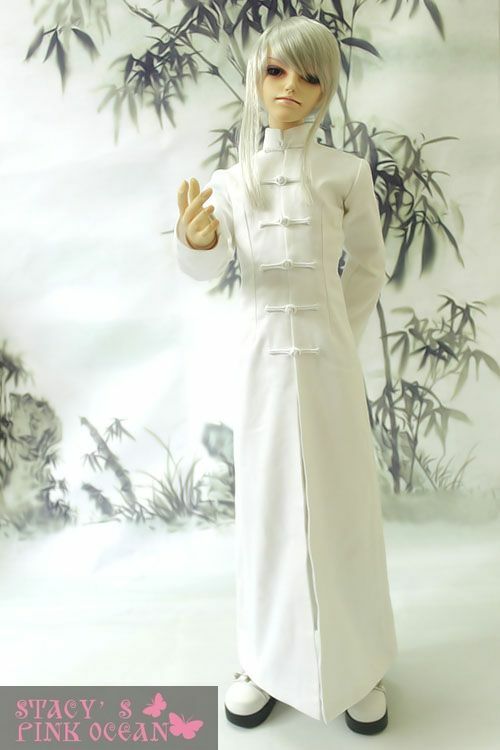 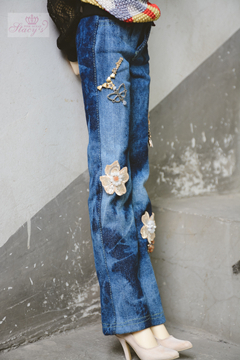 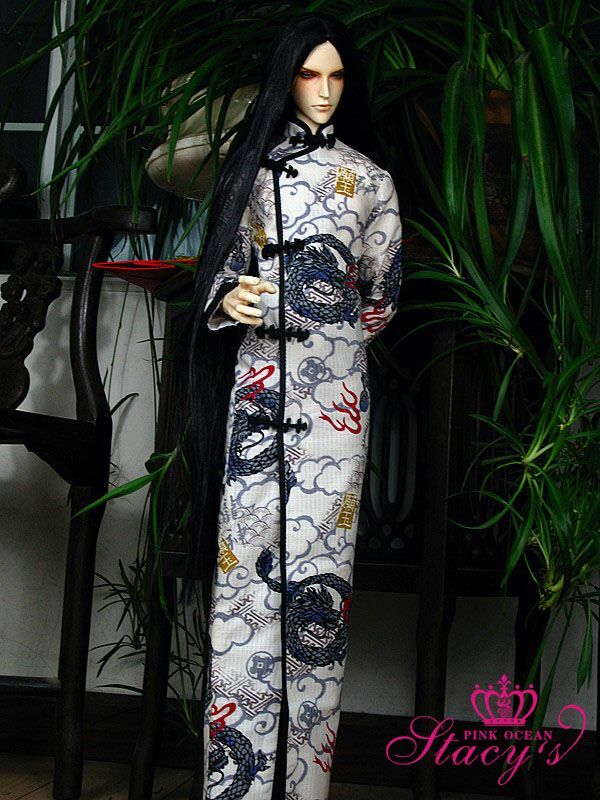 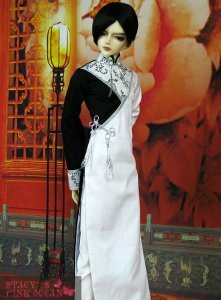 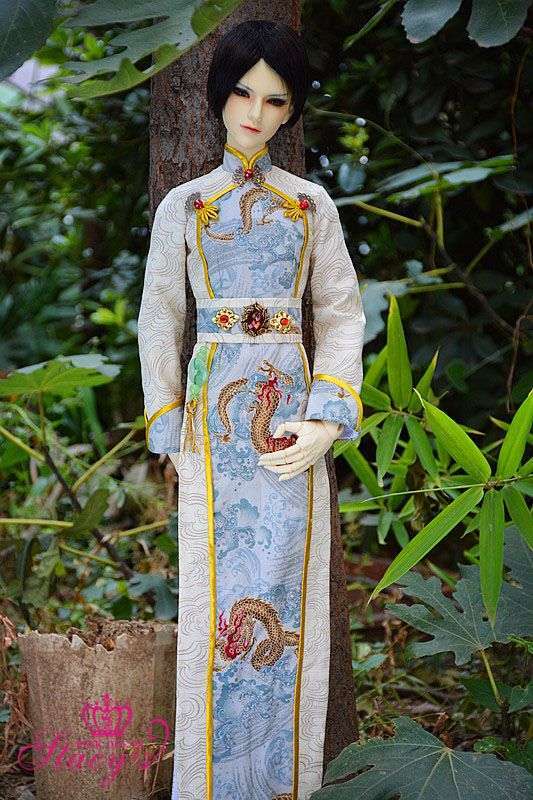 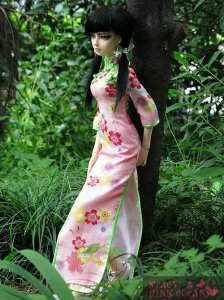 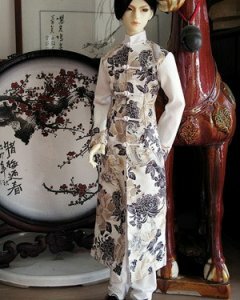 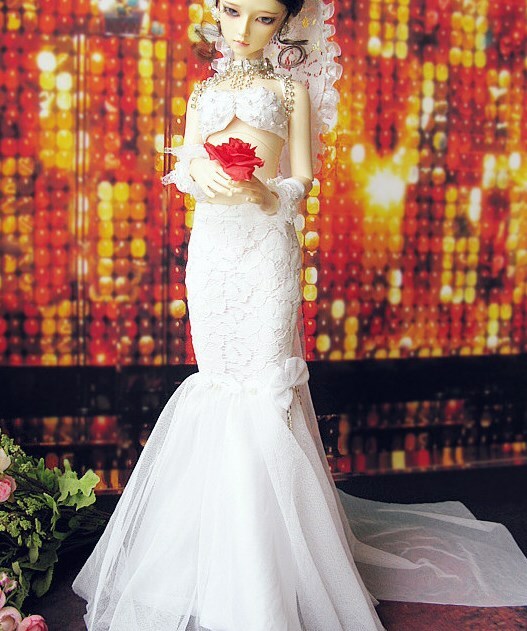 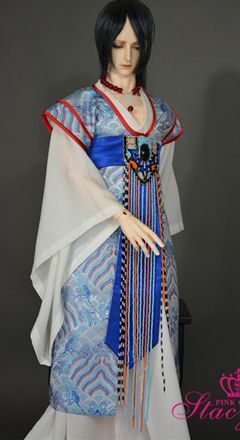 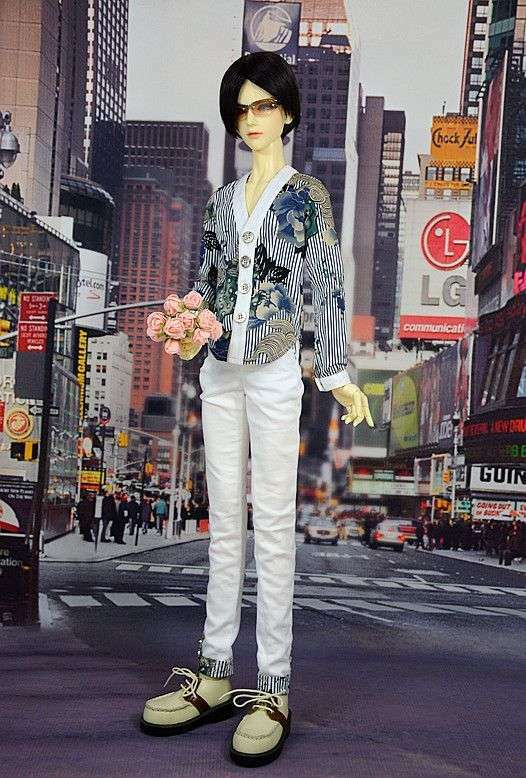 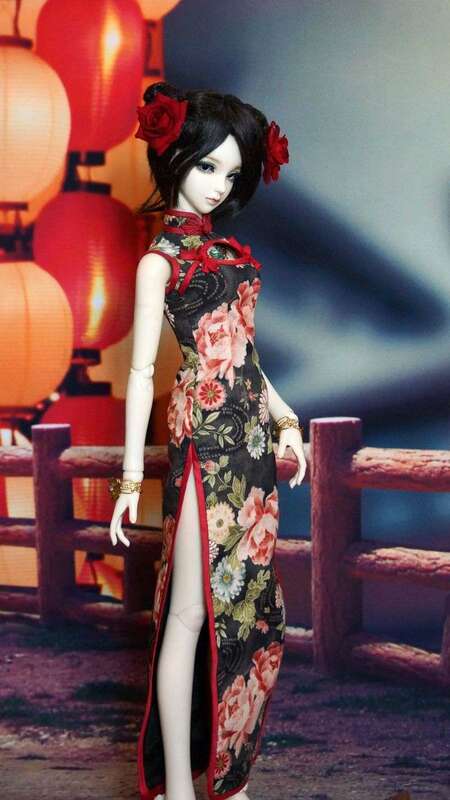 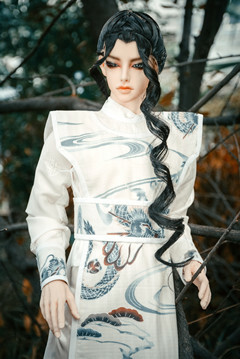 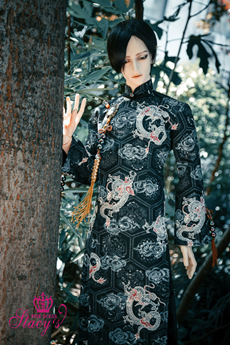 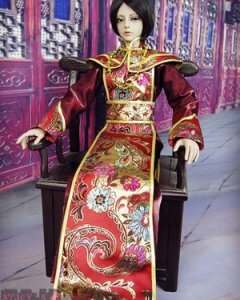 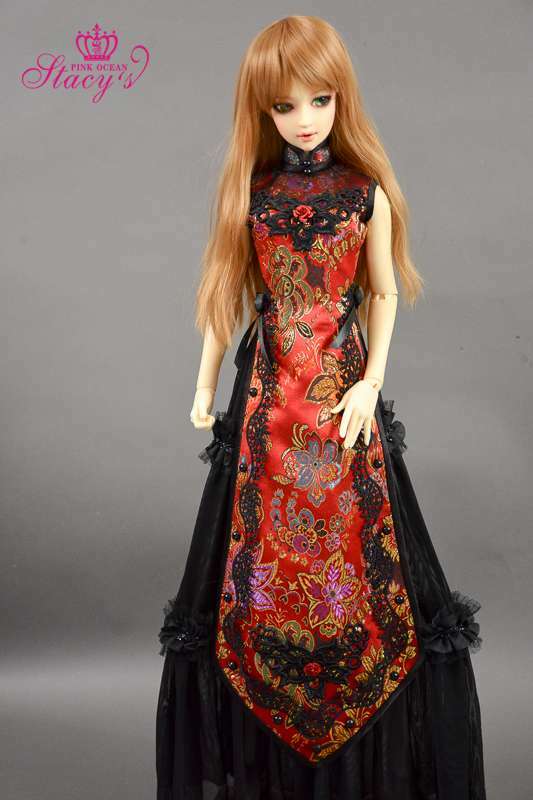 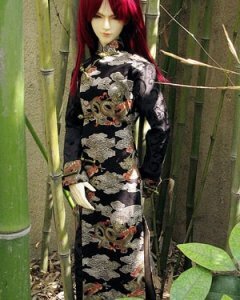 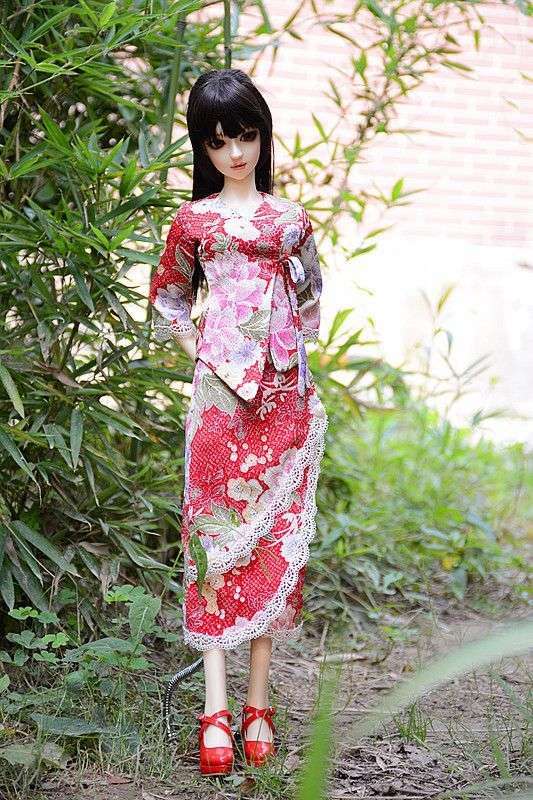 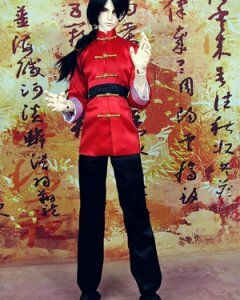 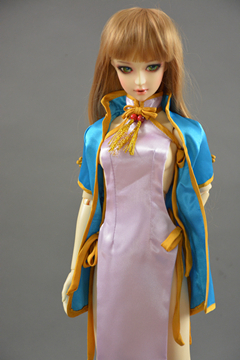 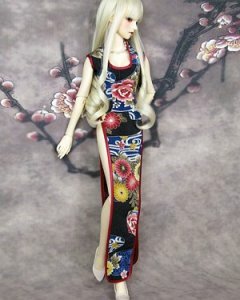 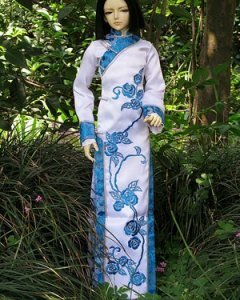 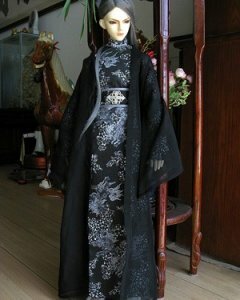 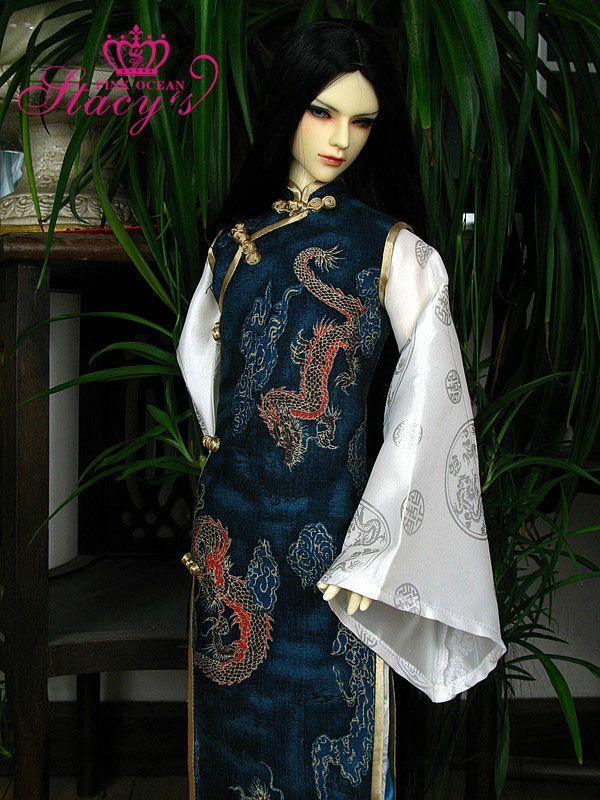 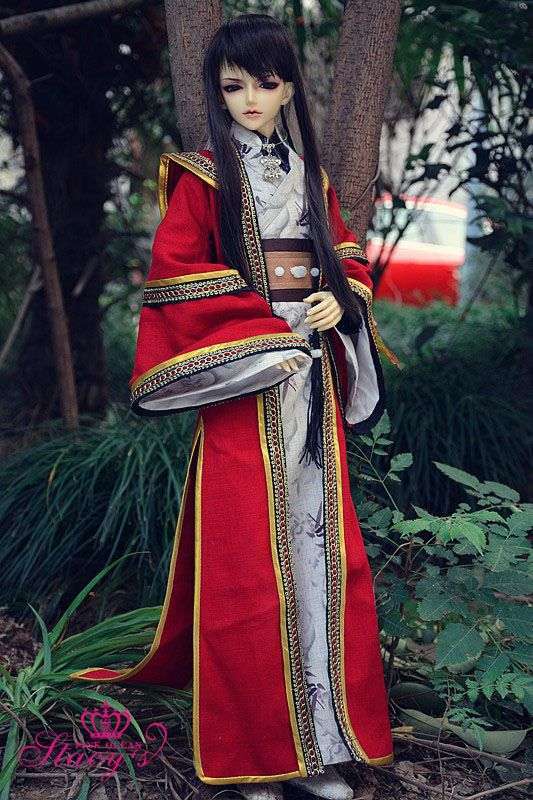 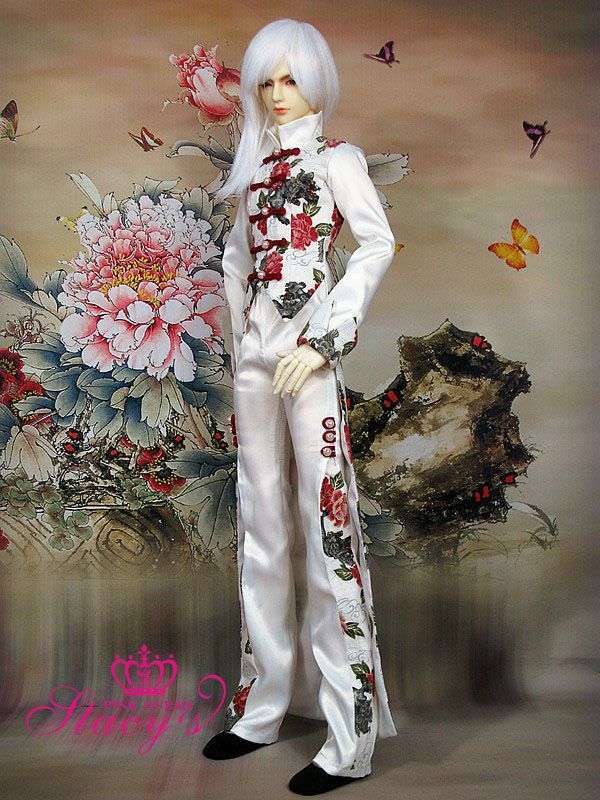 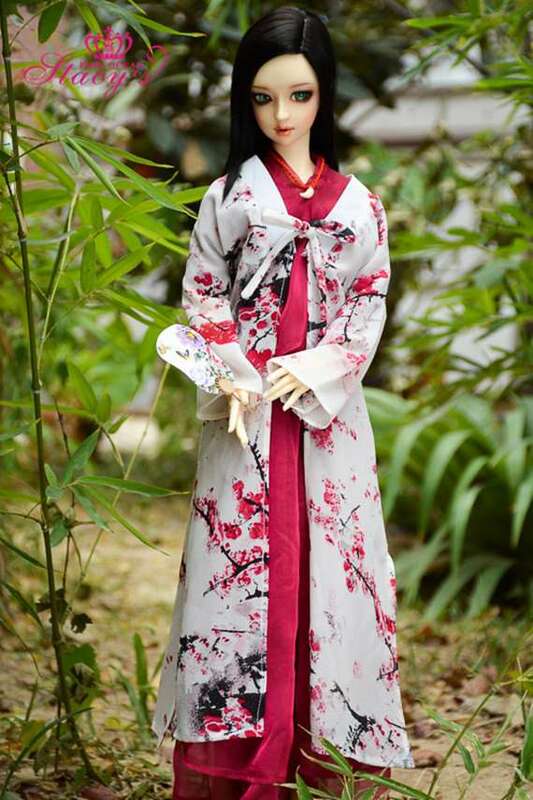 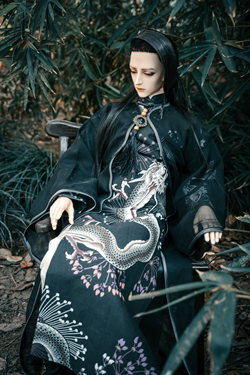 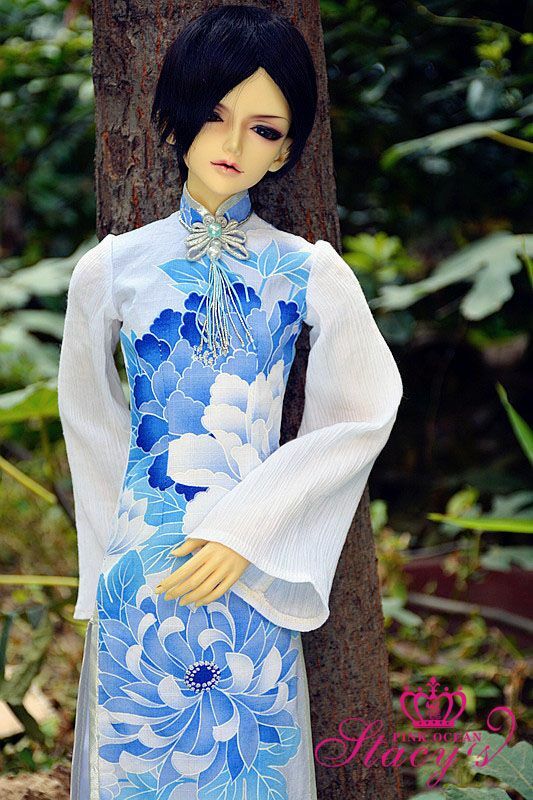 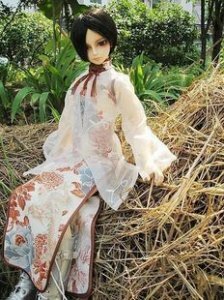 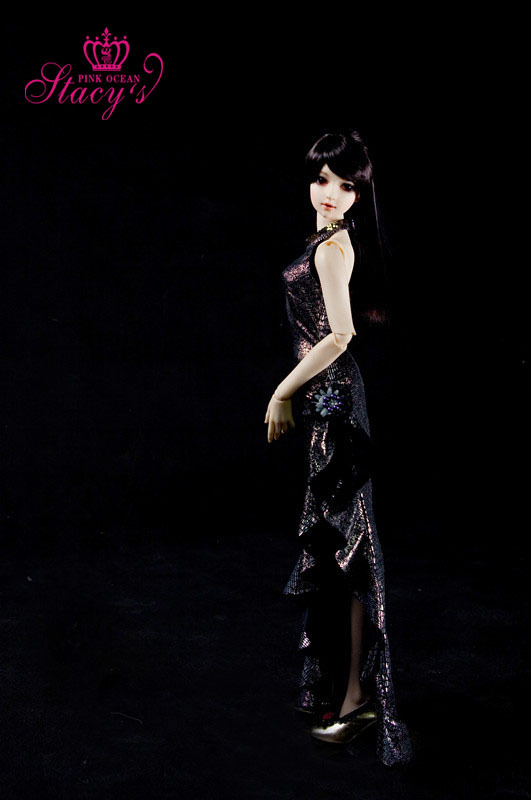 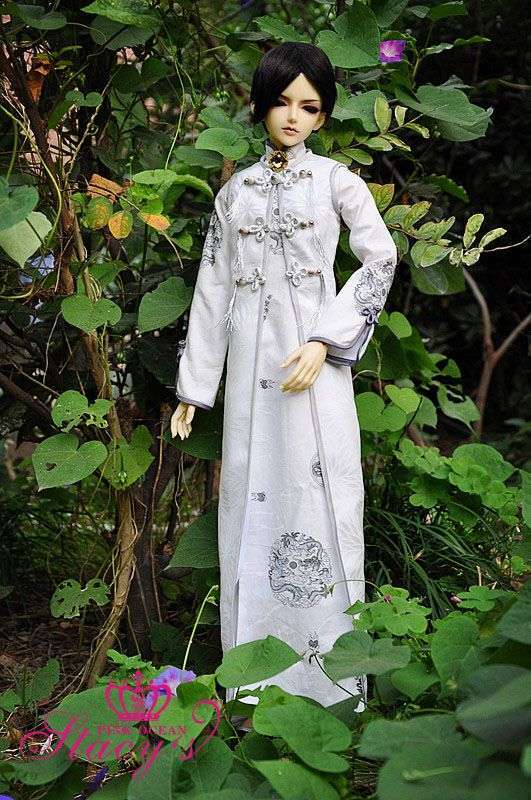 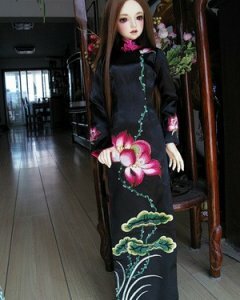 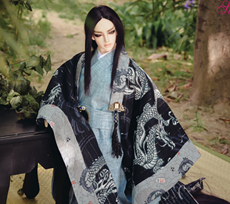 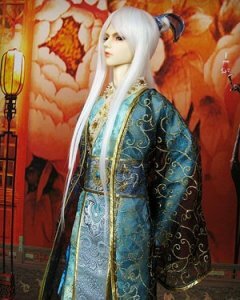 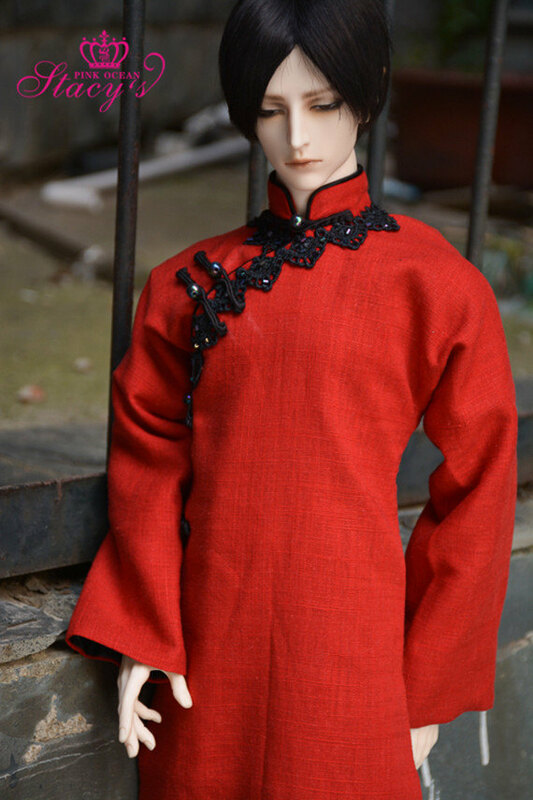 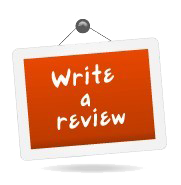 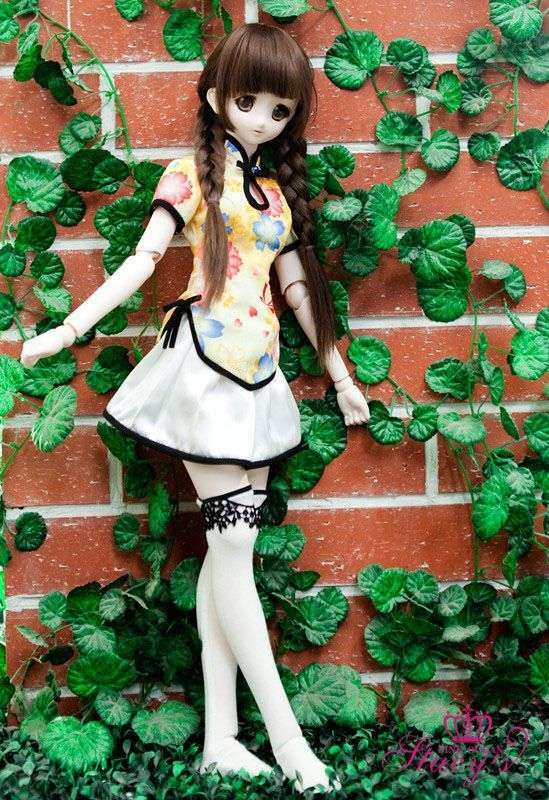 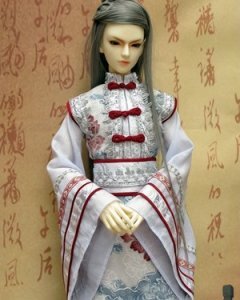 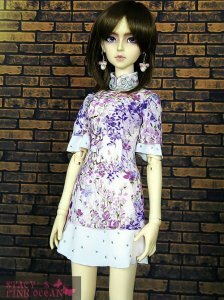 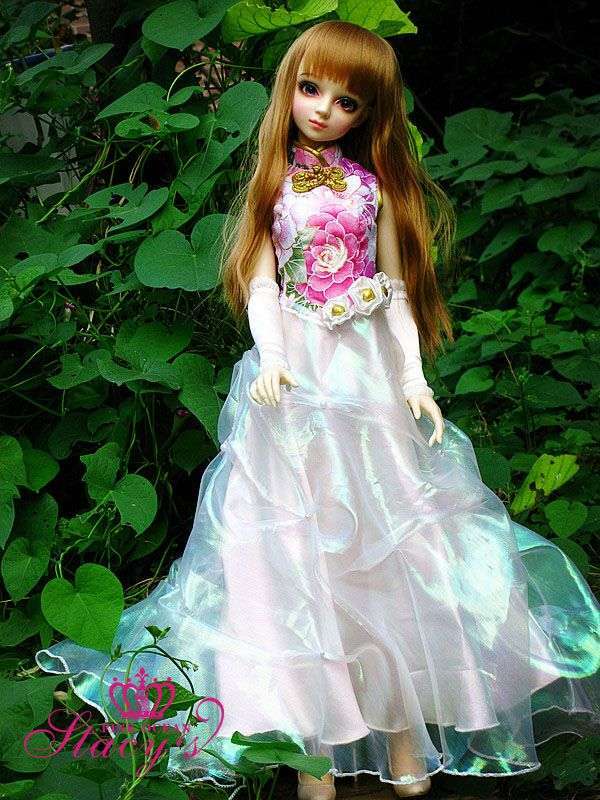 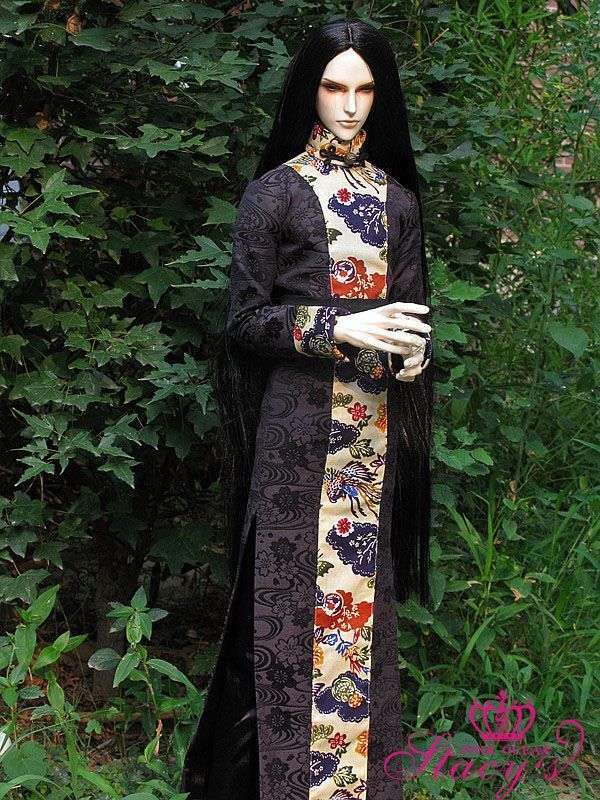 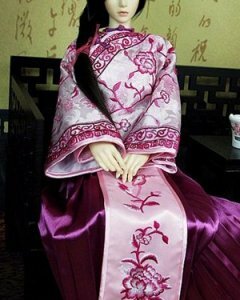 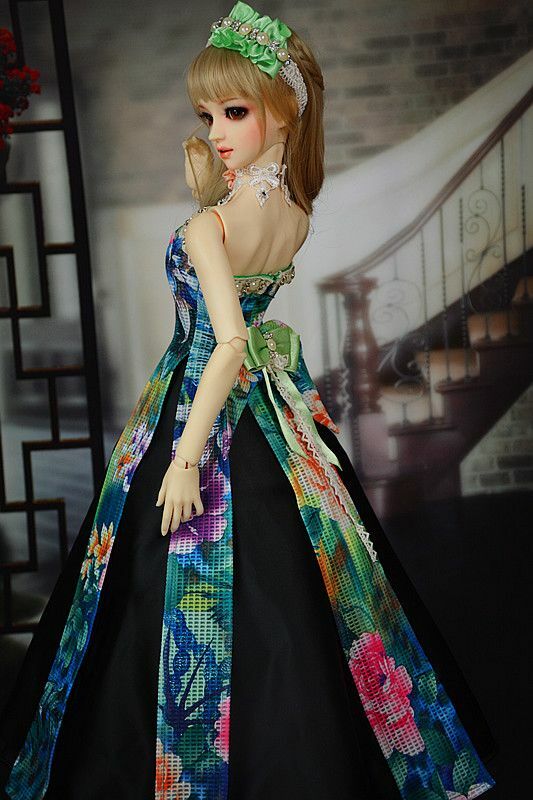 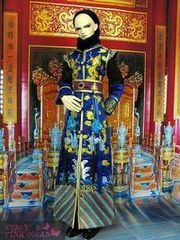 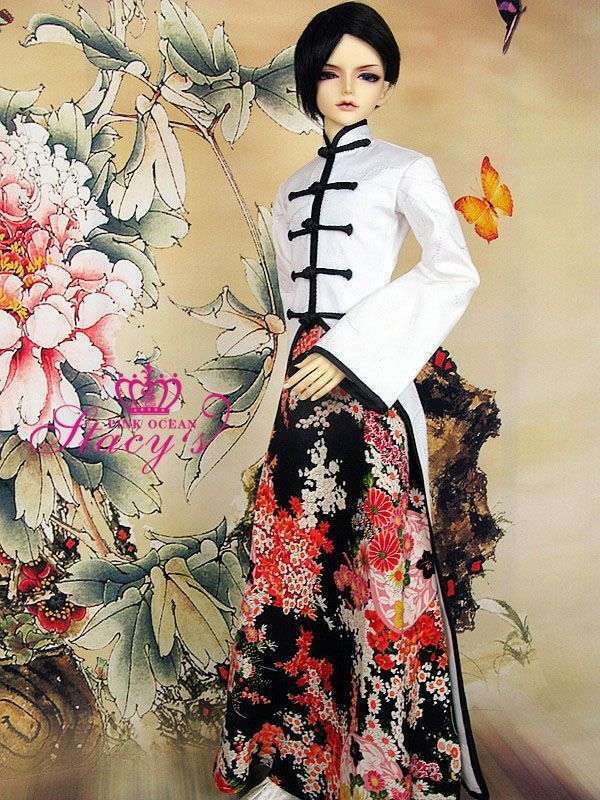 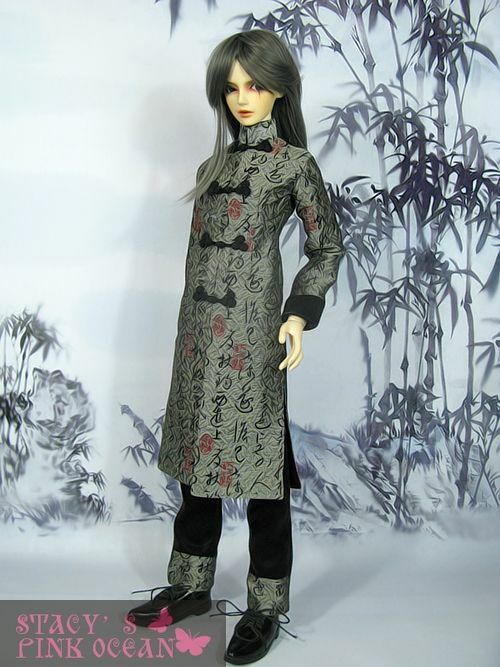 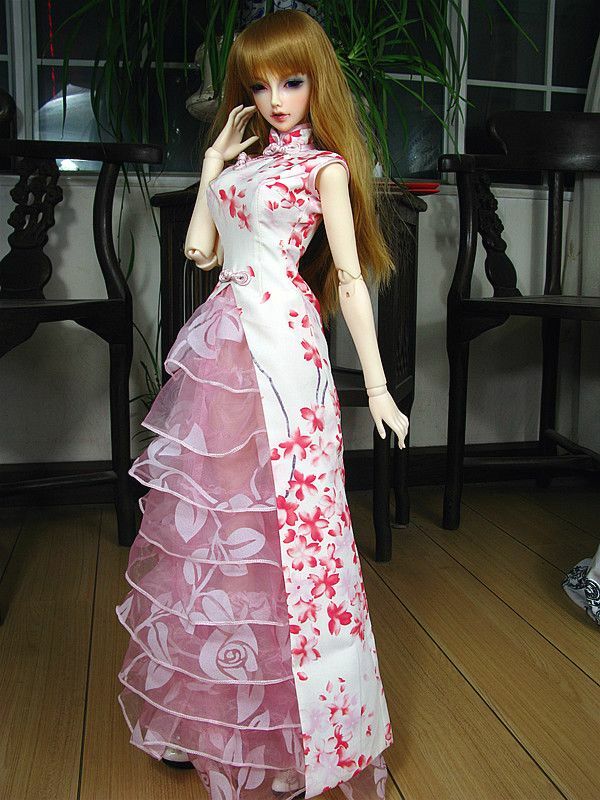 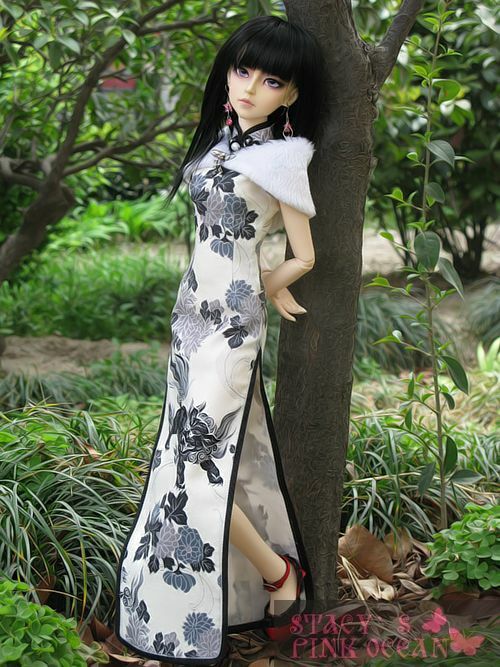 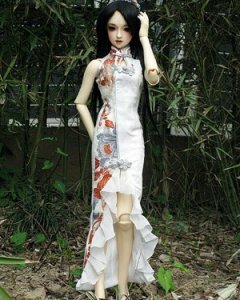 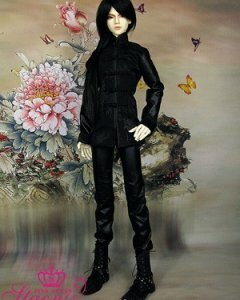 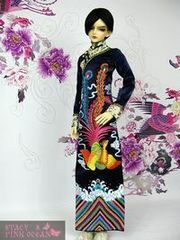 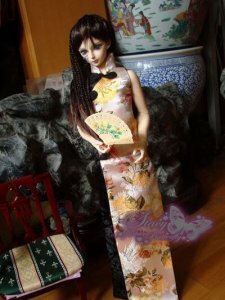 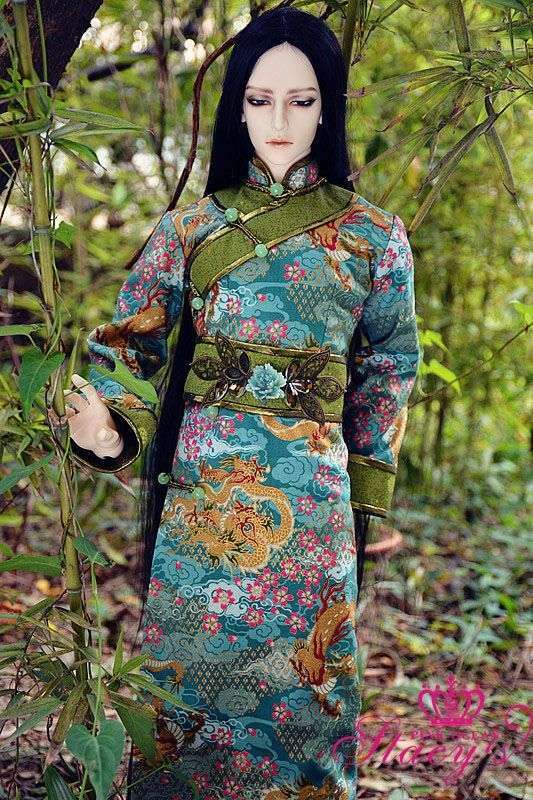 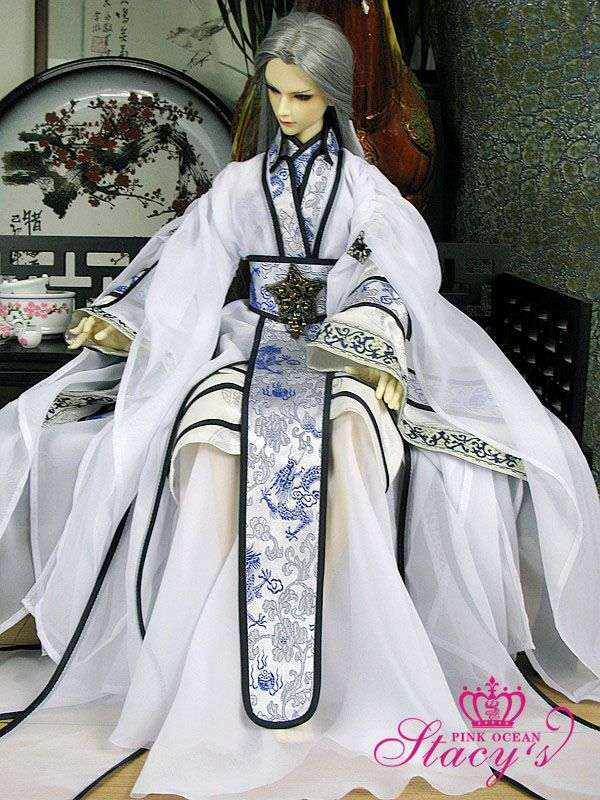 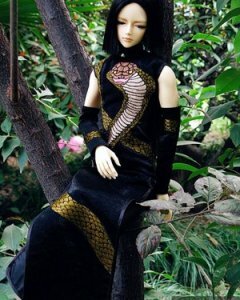 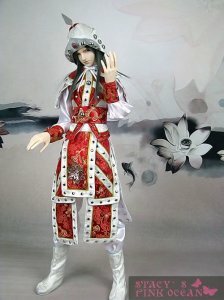 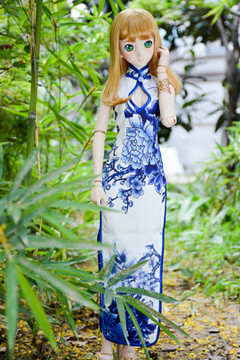 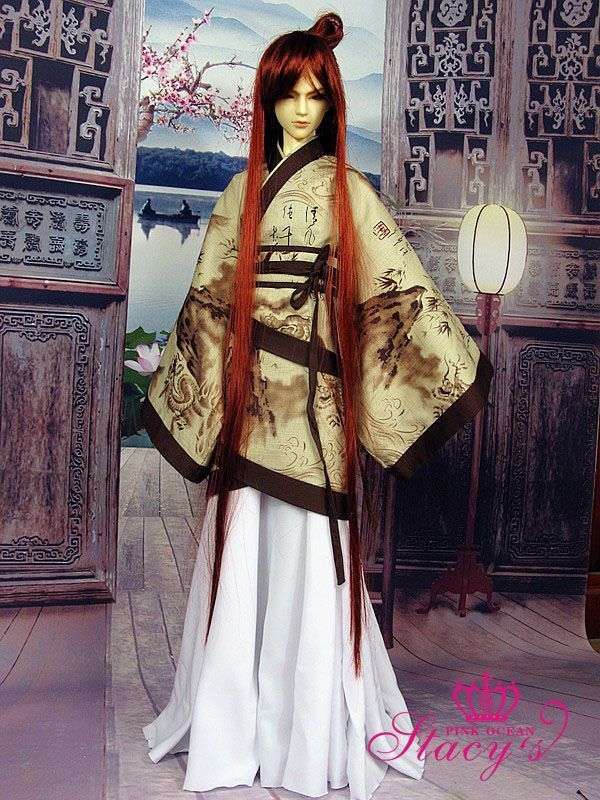 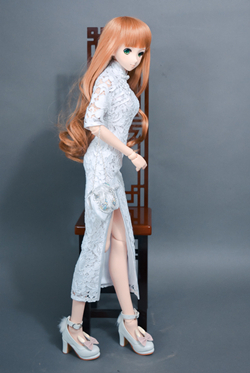 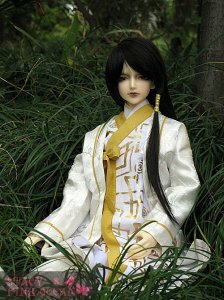 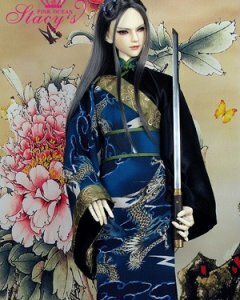 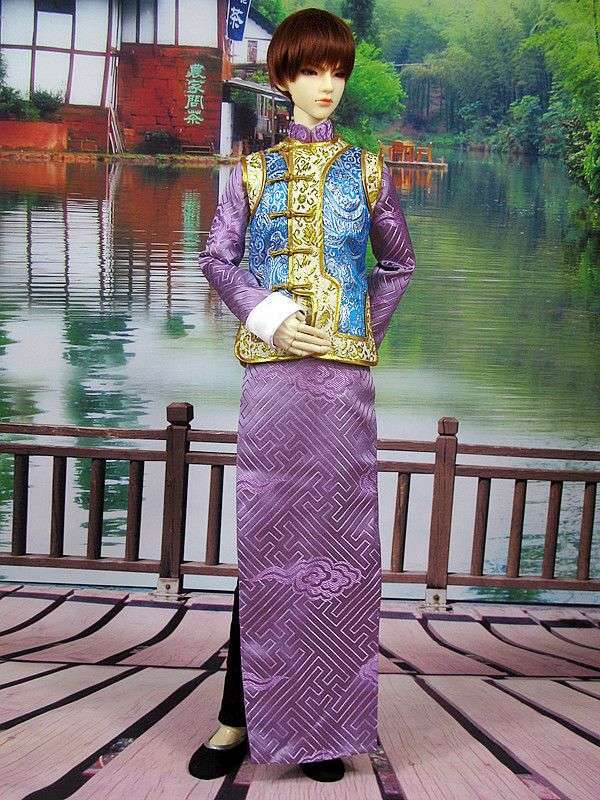 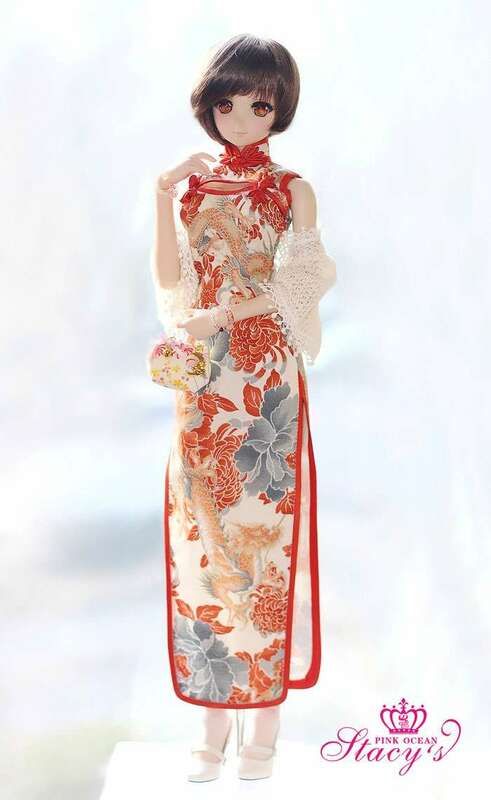 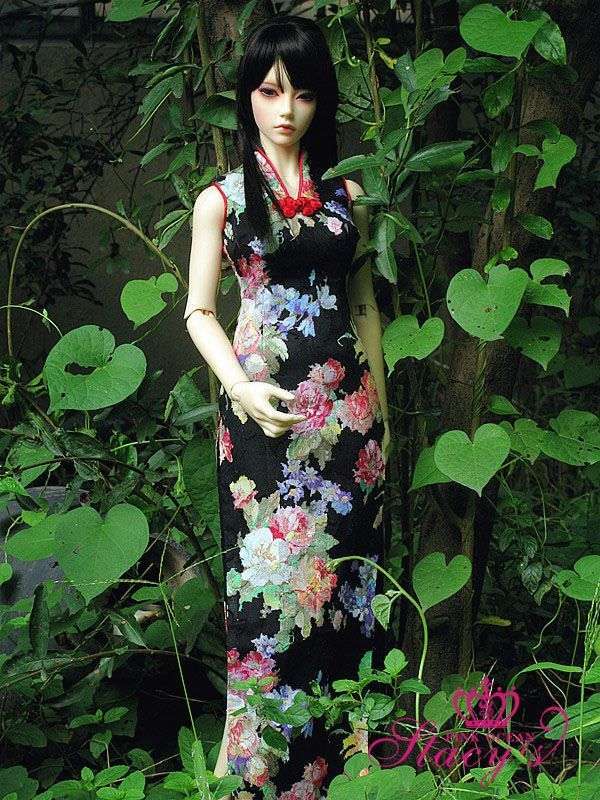 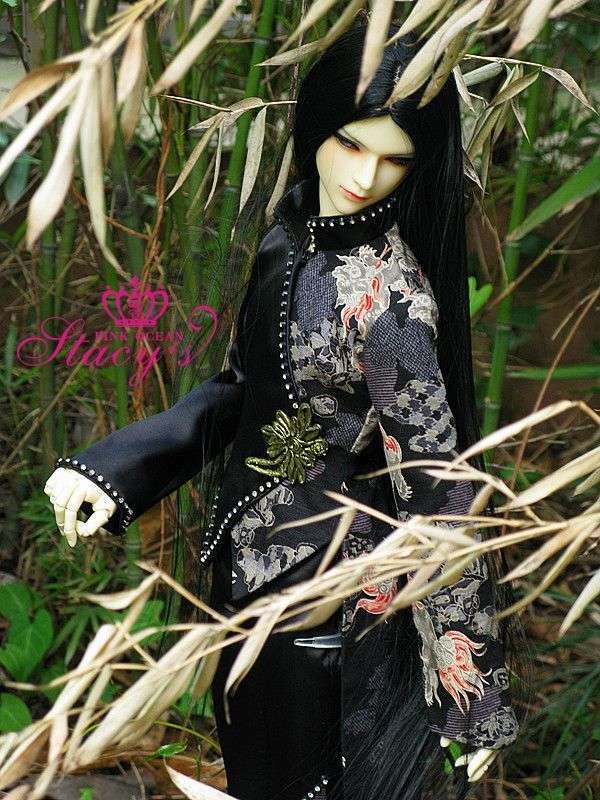 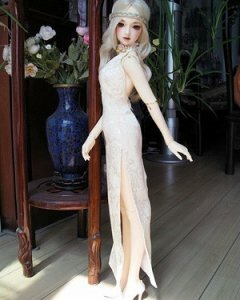 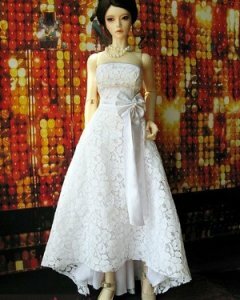 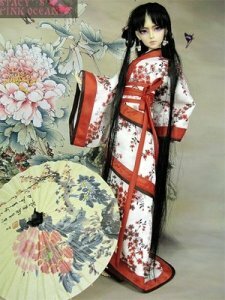 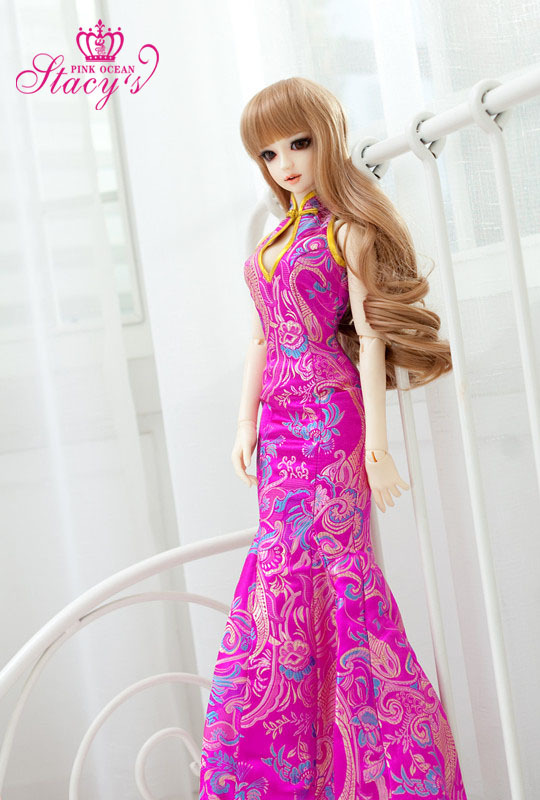 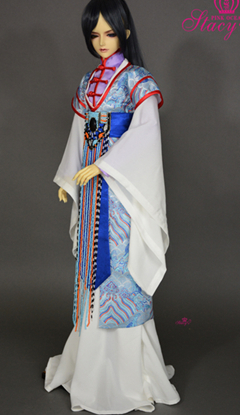 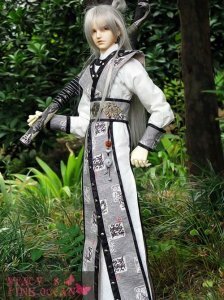 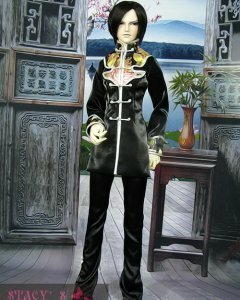 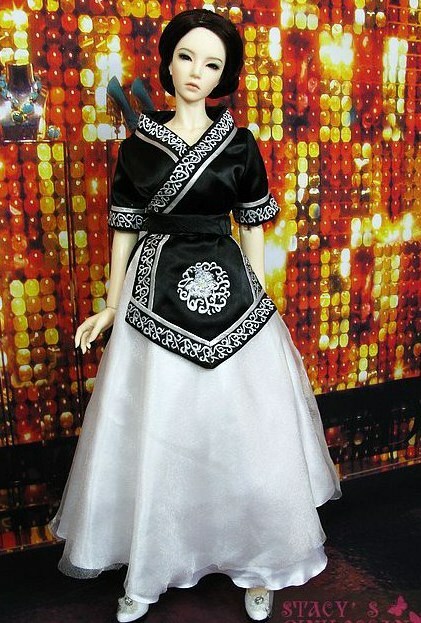 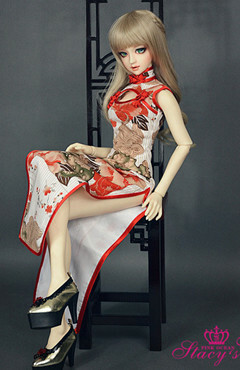 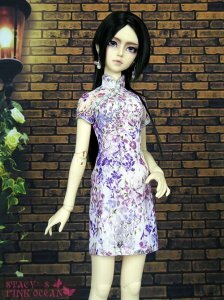 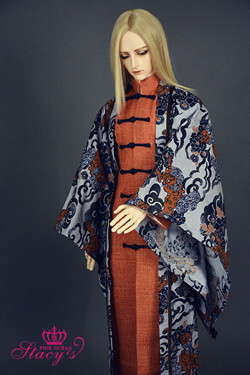 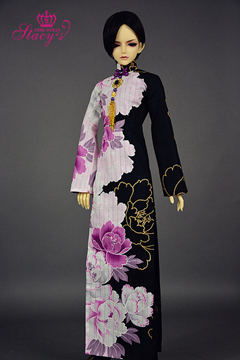 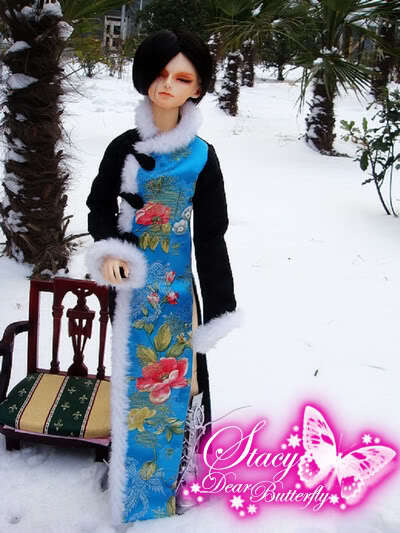 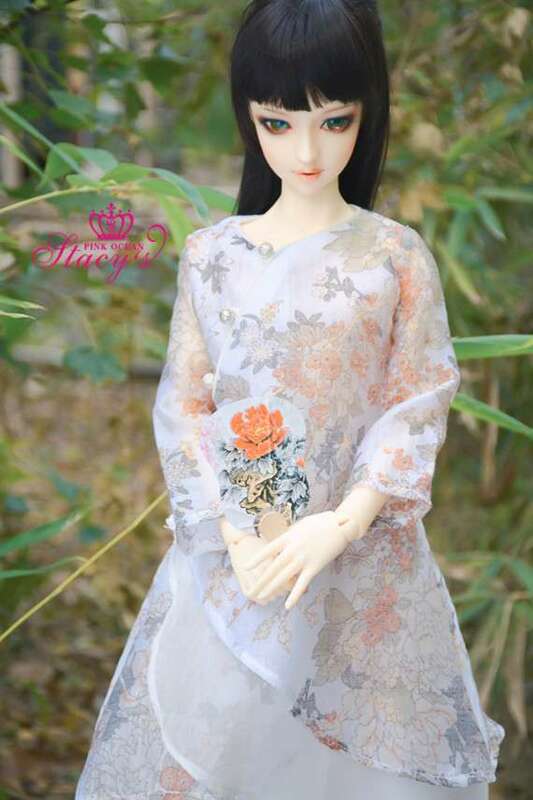 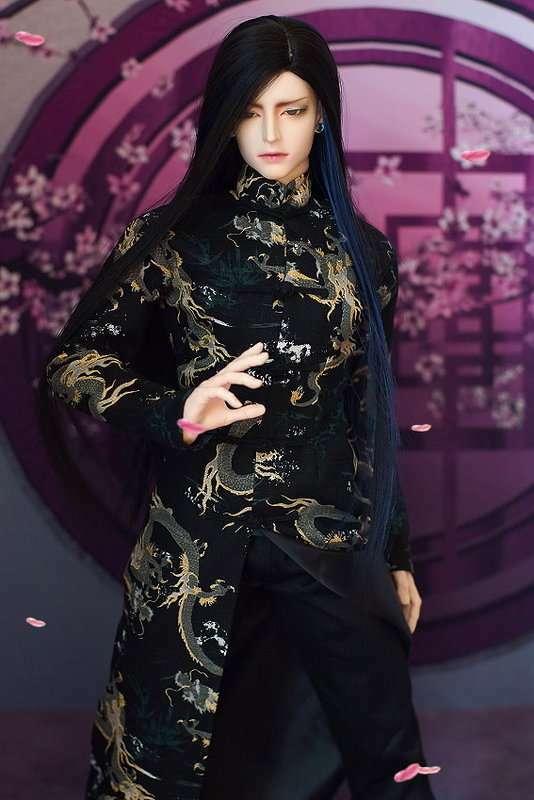 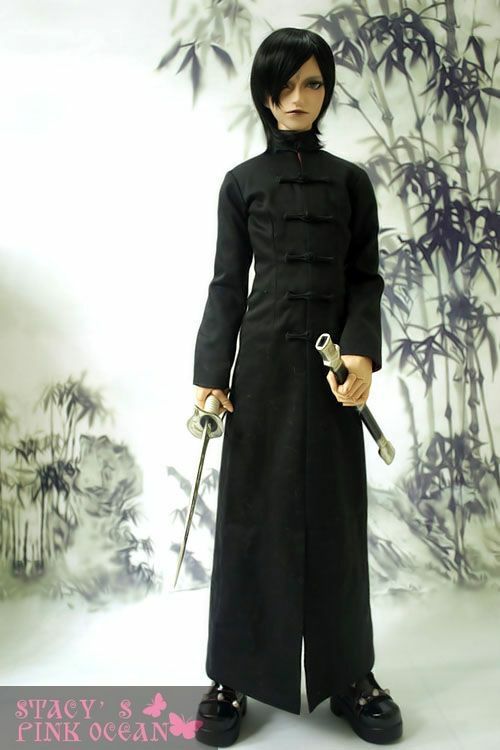 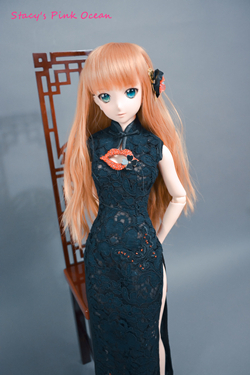 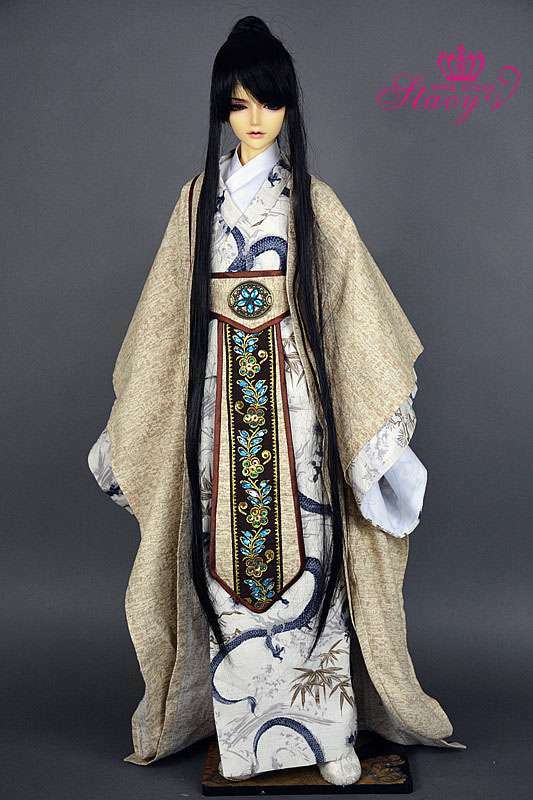 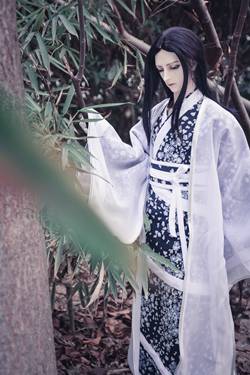 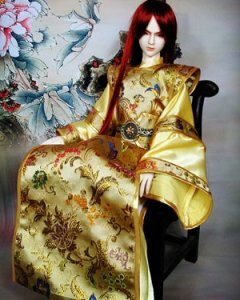 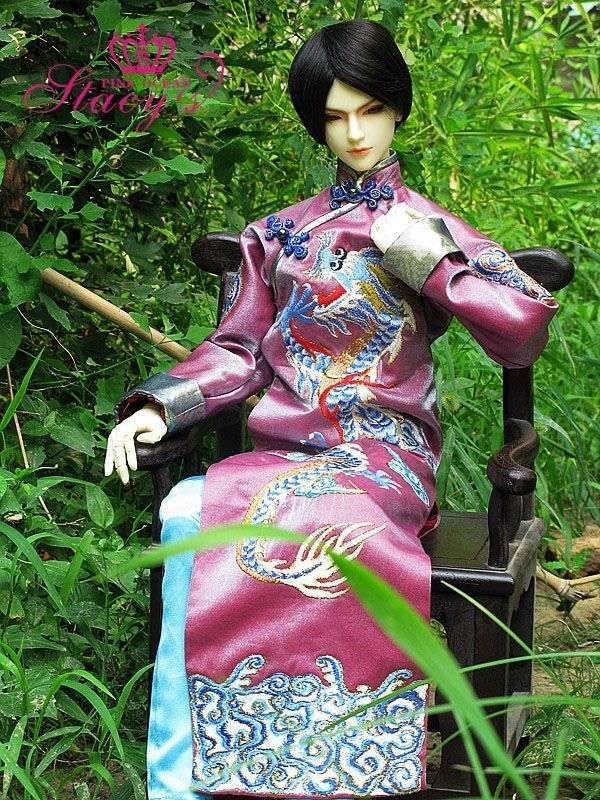 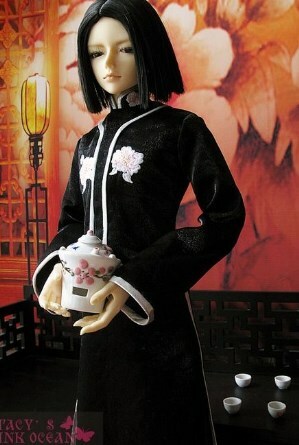 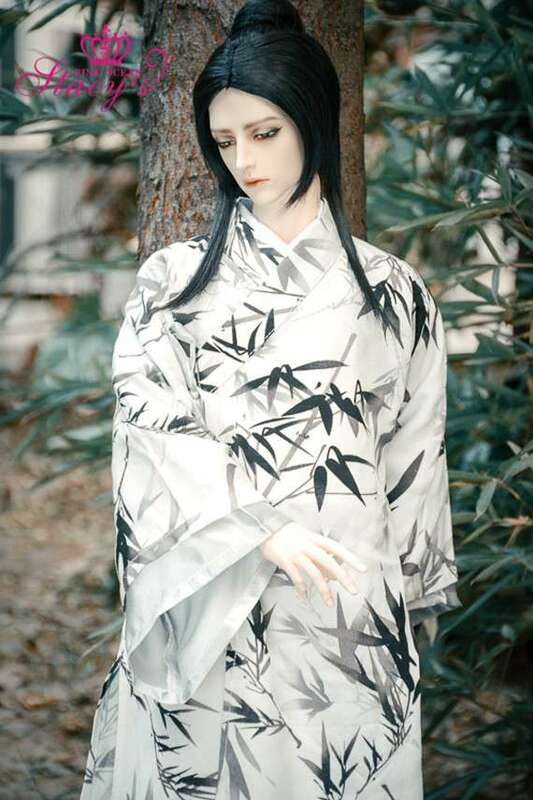 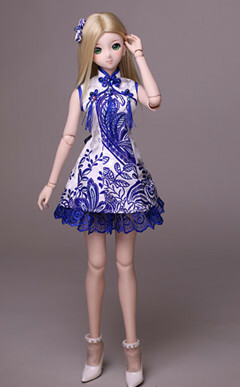 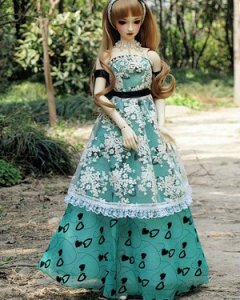 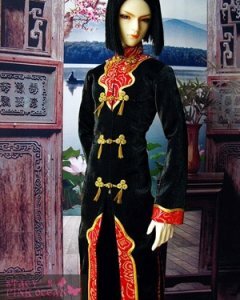 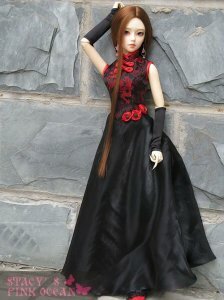 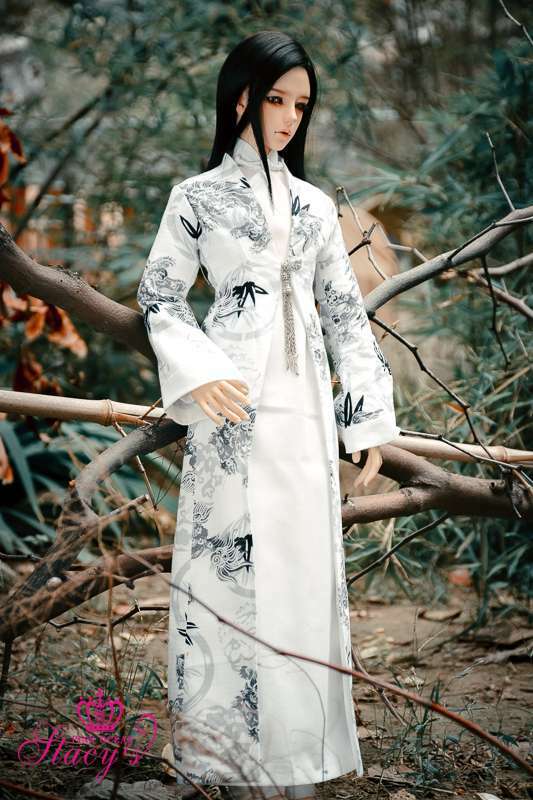 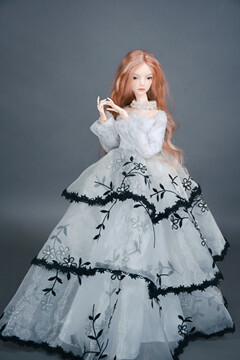 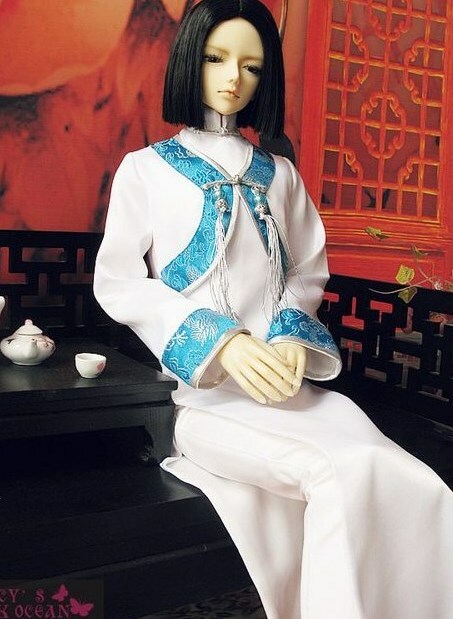 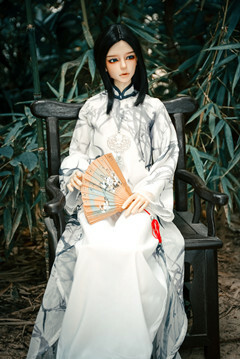 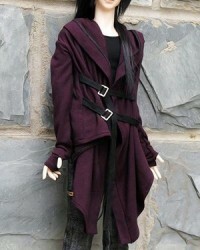 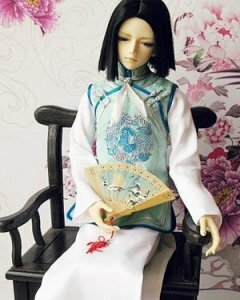 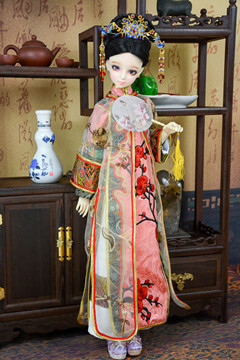 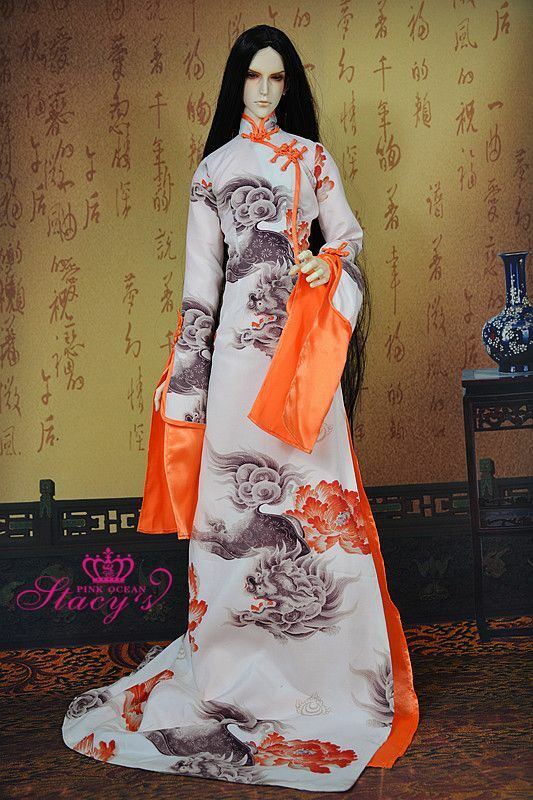 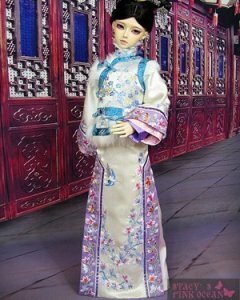 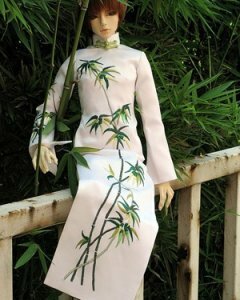 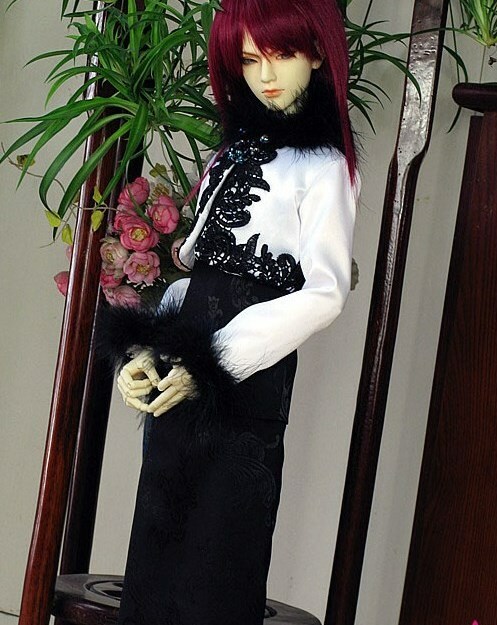 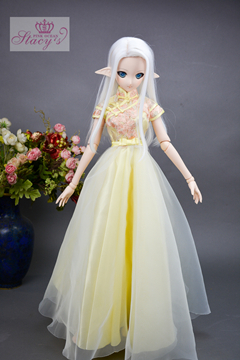 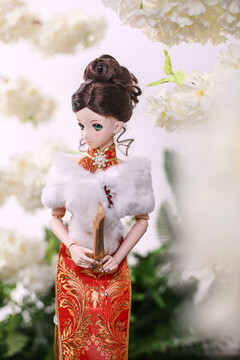 The outfit is made of very high quality fabric and made by professional tailor, with very fine finishing, the whole process of making the clothes is the same as making chinese dress for human. 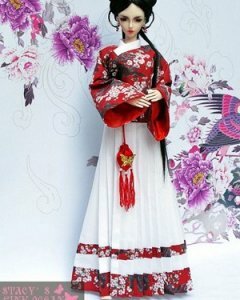 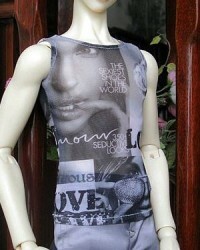 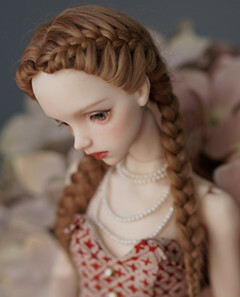 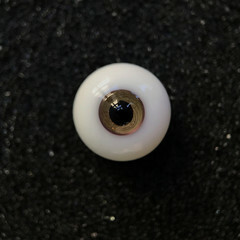 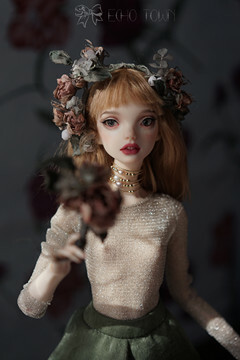 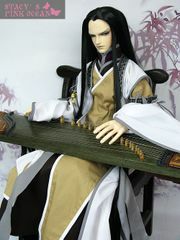 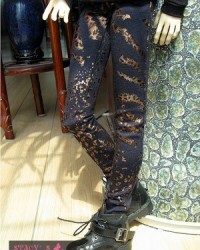 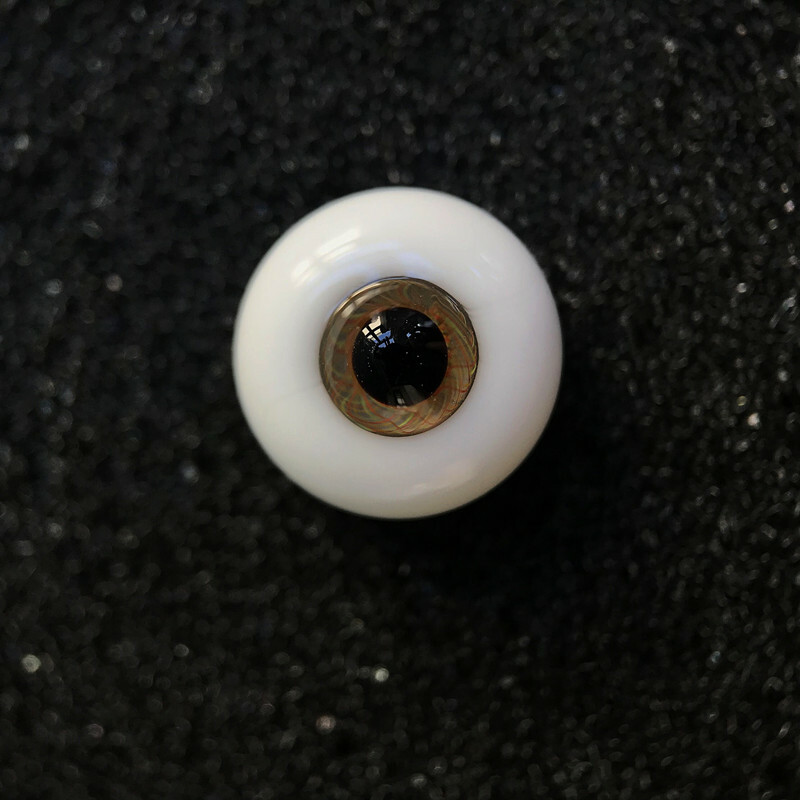 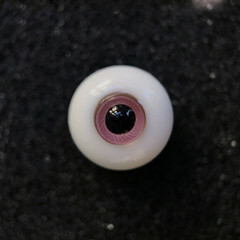 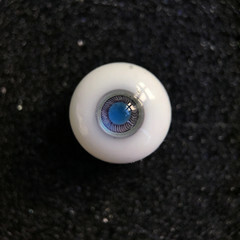 The delivery time is around 1 month.